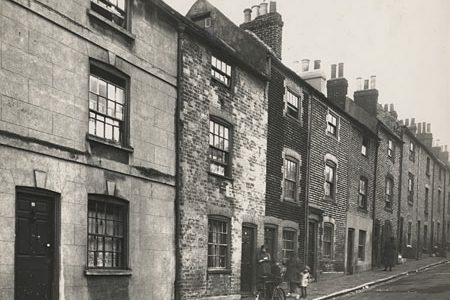 The history of the city can be traced through the development of its roads and streets and the memories of their inhabitants. 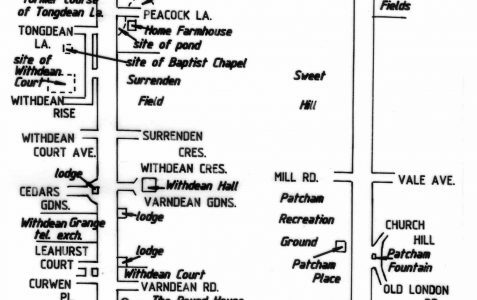 You can check on the chronological order of the development of many of the roads and streets shown below. 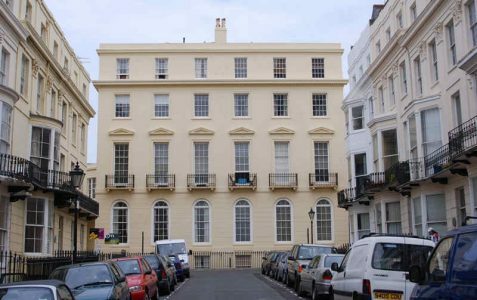 In 1830 the Grade II* Adelaide Crescent was begun by Decimus Burton but it was not completed until the 1850s. 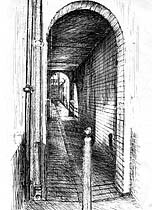 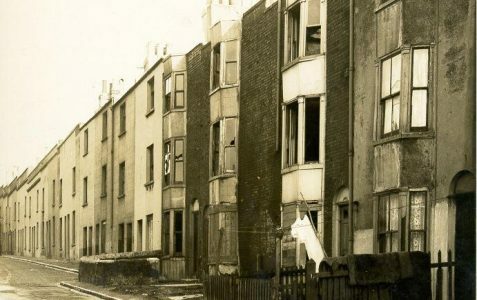 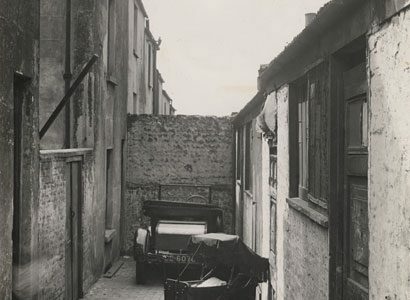 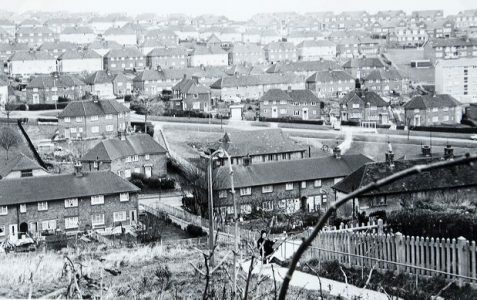 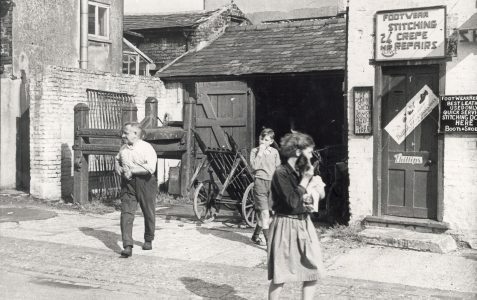 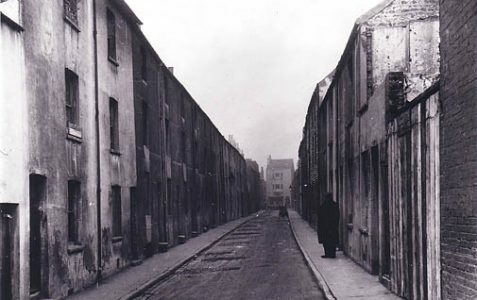 Air Street was formerly known as Boar’s Lane, and was one of the worst slums in the town. 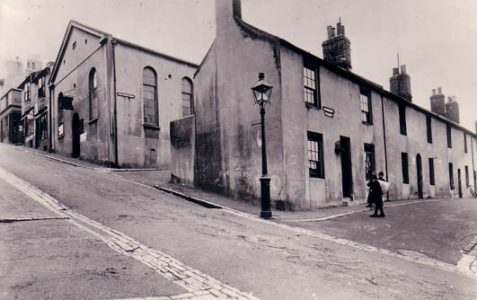 Ann Street is off London Road and contains St Bartholomew’s Church. 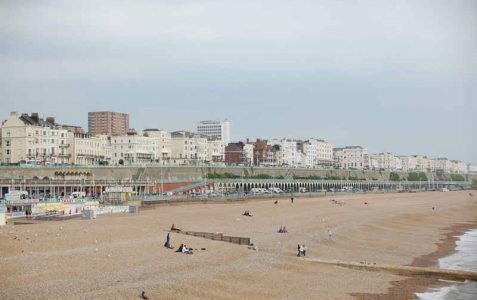 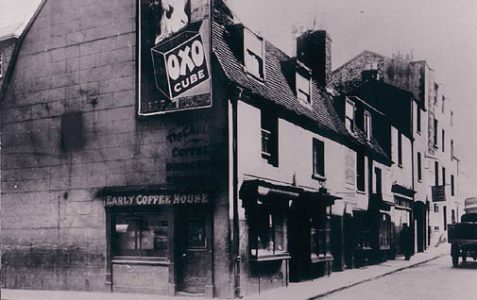 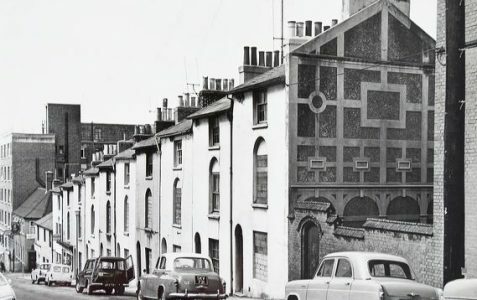 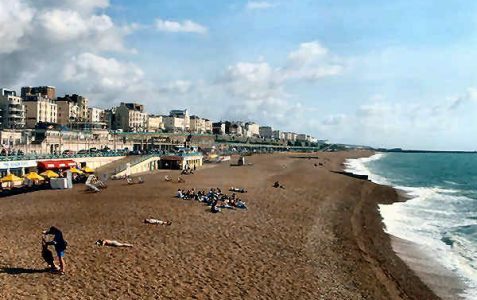 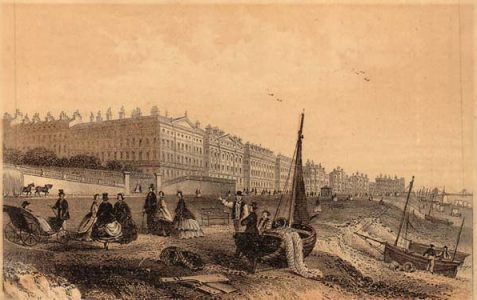 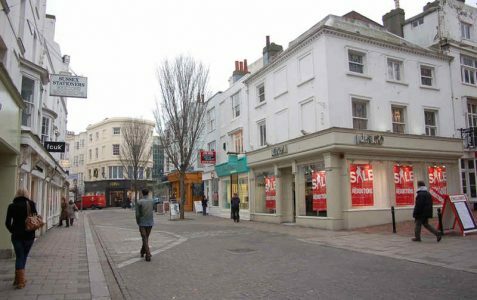 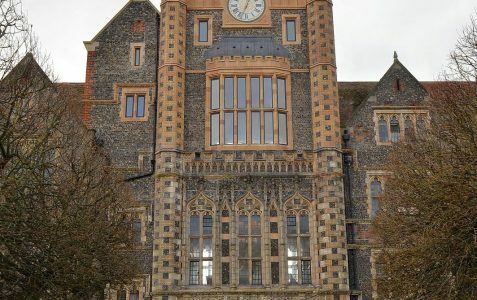 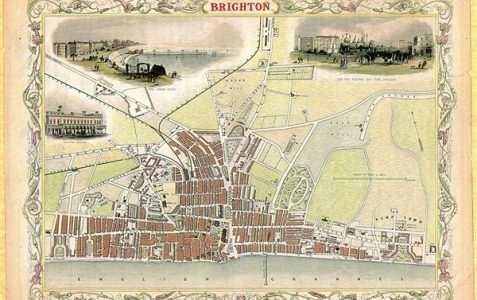 Construction of Brighton’s earliest square began in about 1801. 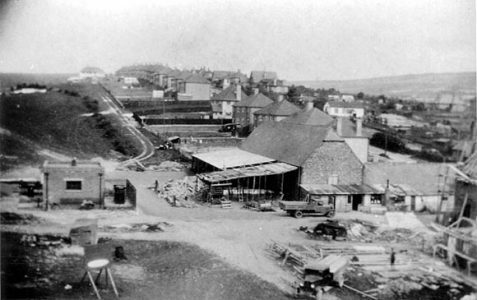 Site of the Hanover Mill, erected in 1838 and demolished in the late 1890s. 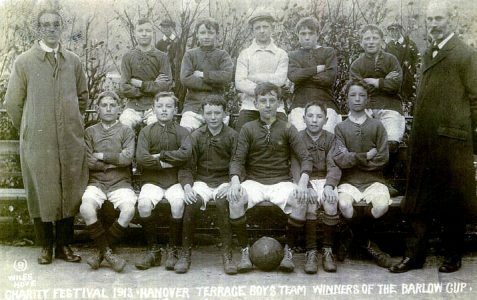 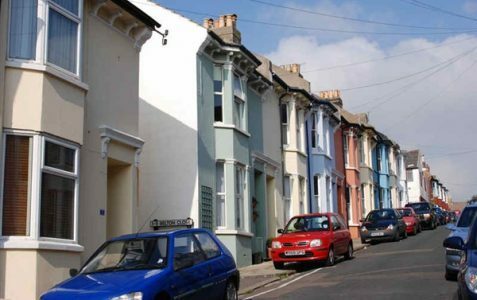 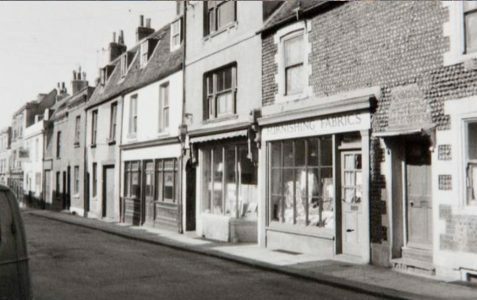 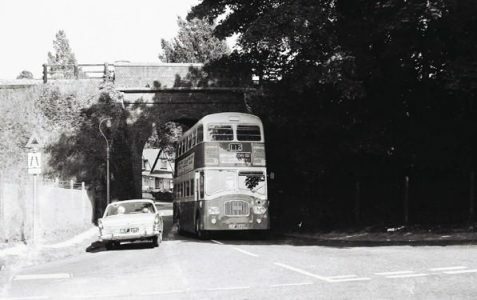 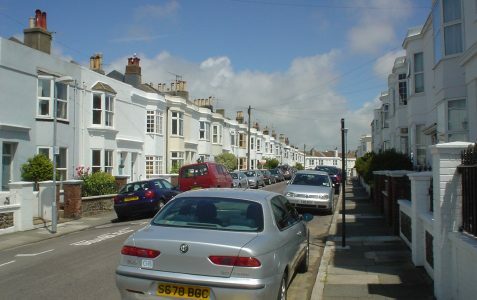 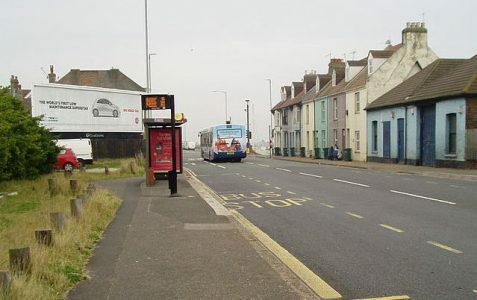 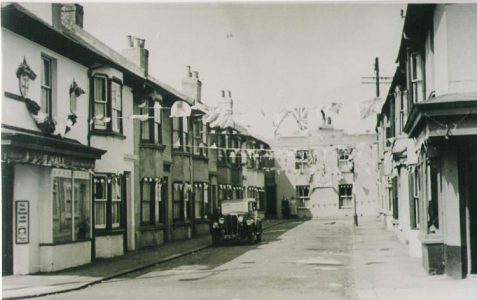 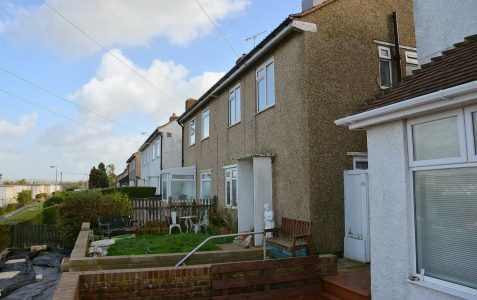 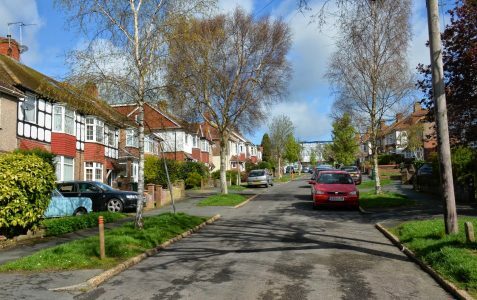 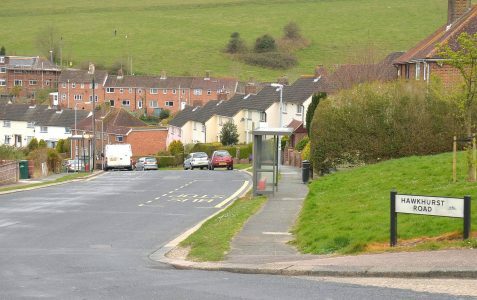 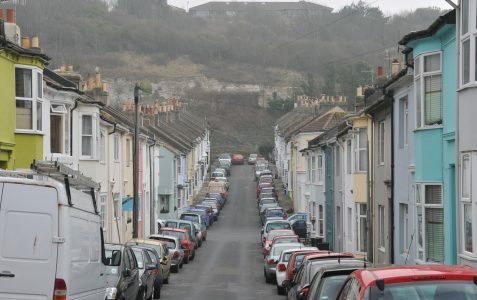 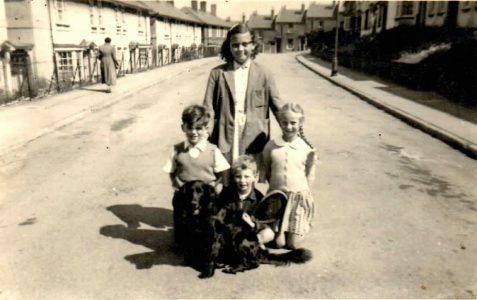 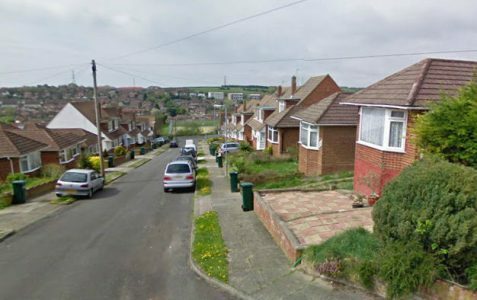 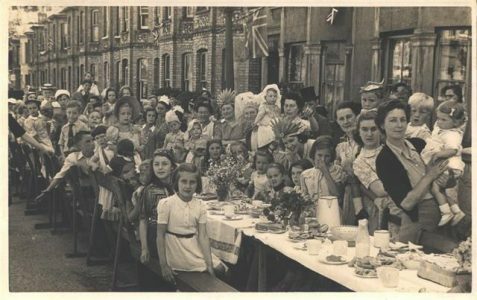 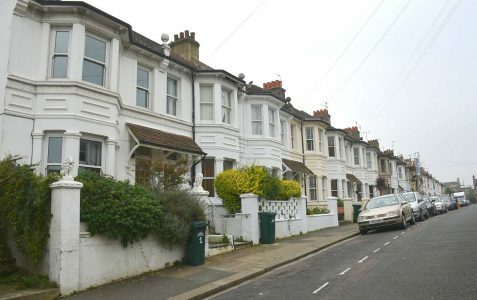 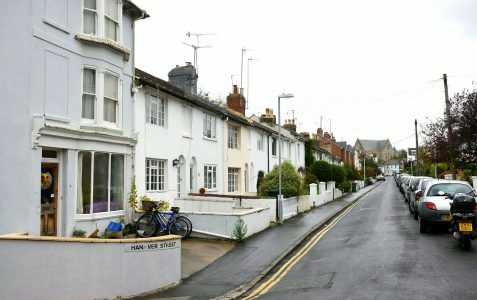 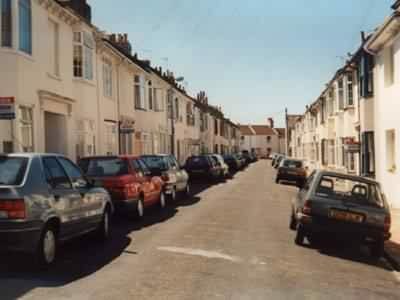 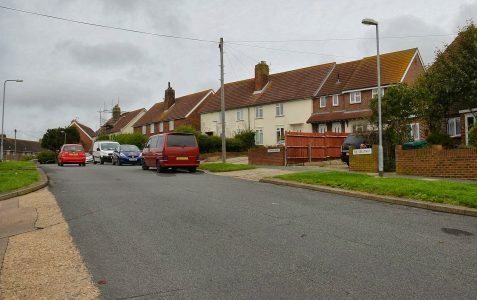 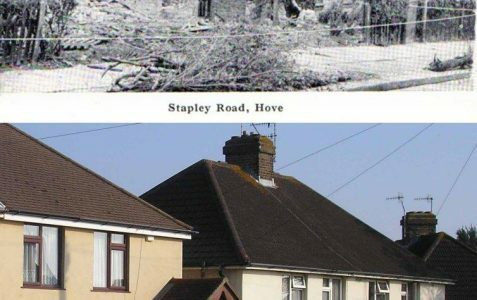 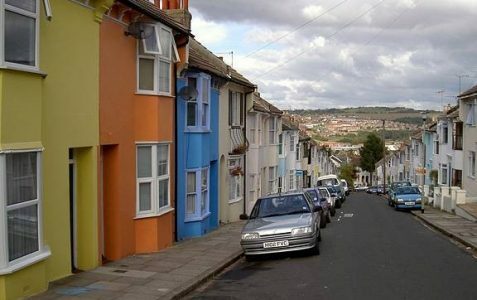 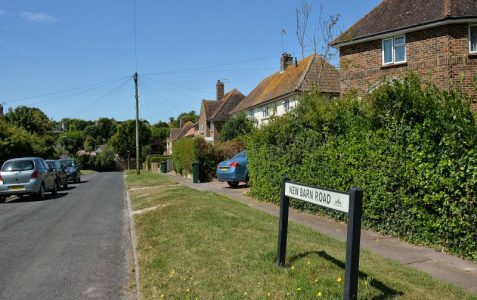 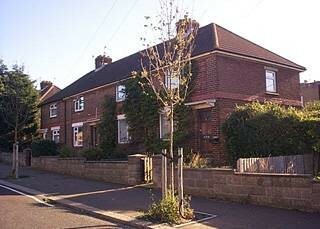 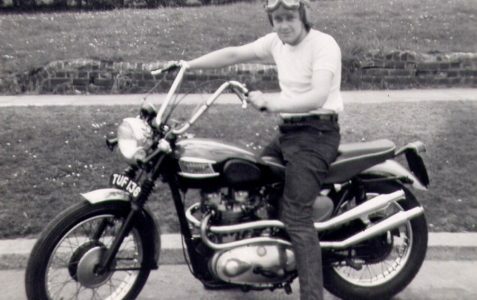 Bonchurch Road takes its name from the town on the Isle of Wight and was developed in the 1880s. 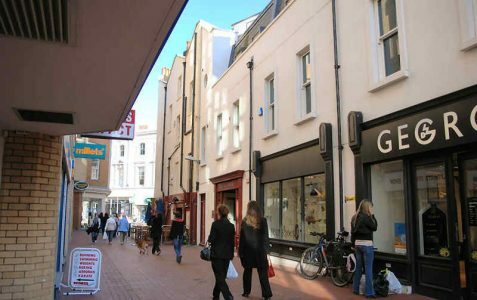 Developed in the second half of the 18th century, Bond Street was the first road built northwards from North Street. 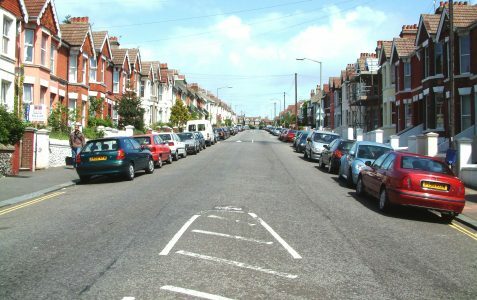 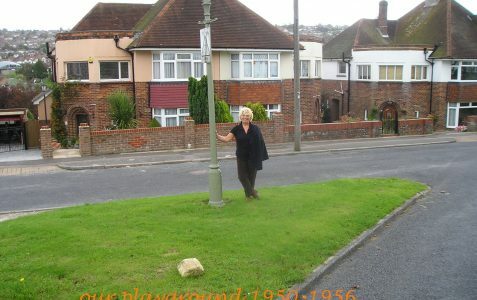 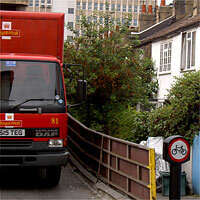 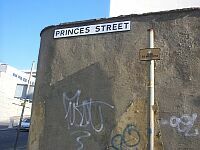 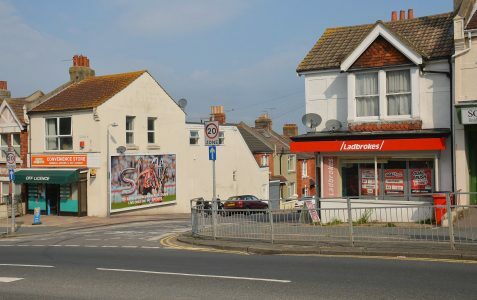 Boundary Road is so named because it marks the course of the parish boundary between Portslade and Hove. 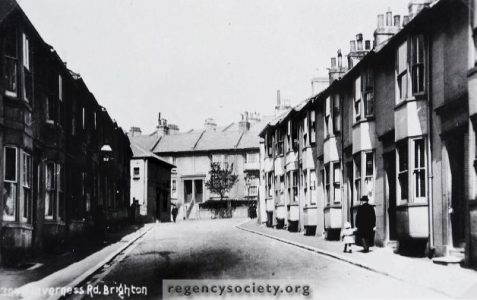 Brighton Place stands on a slight eminence, twenty feet higher than East Street. 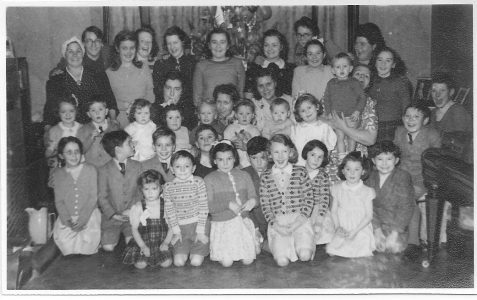 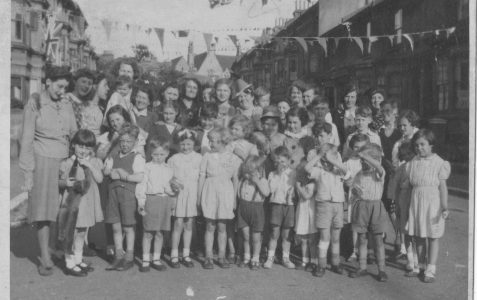 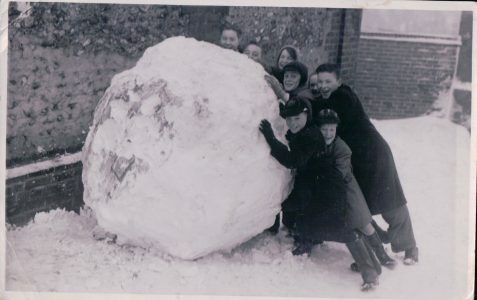 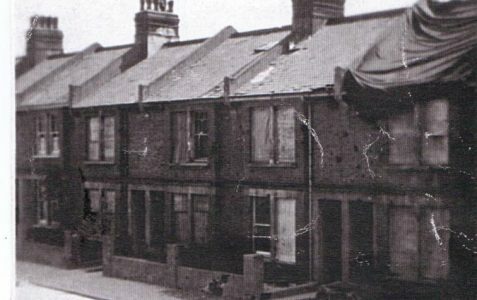 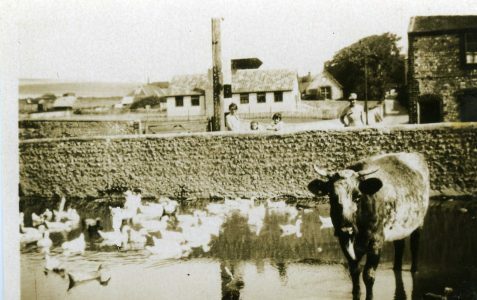 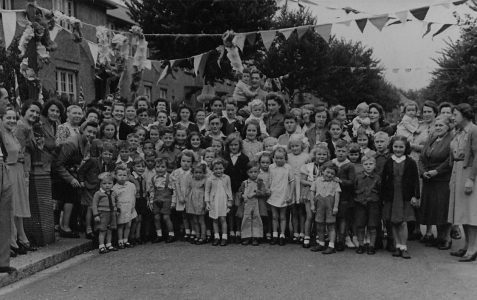 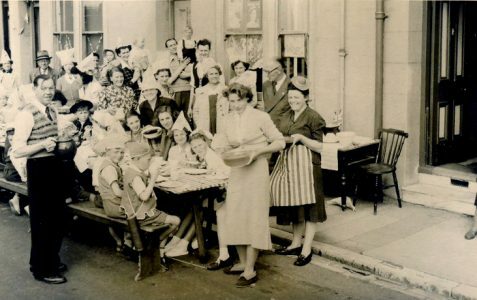 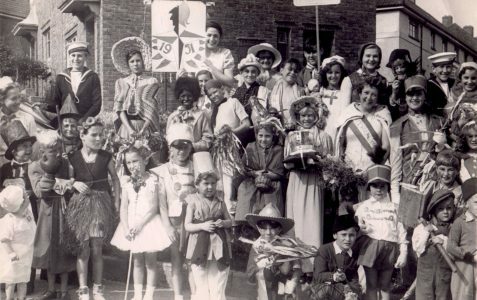 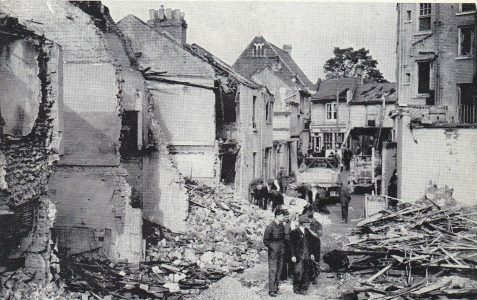 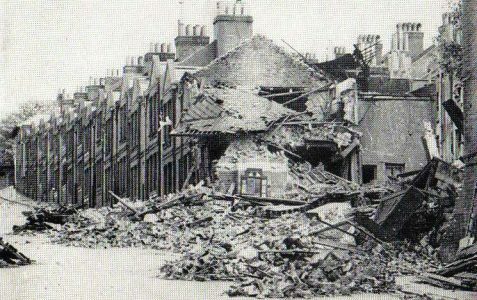 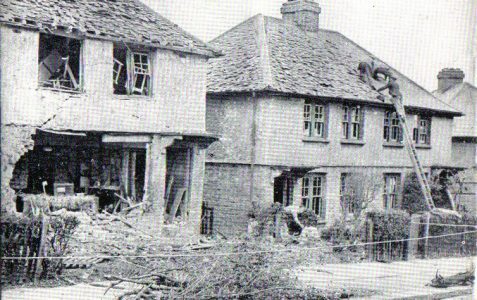 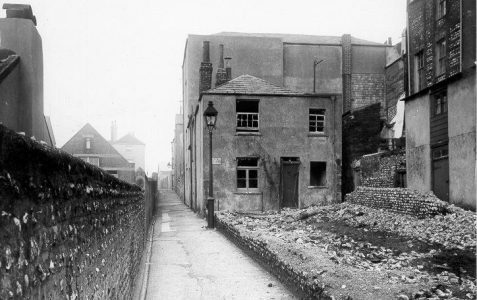 The street was demolished in about 1959. 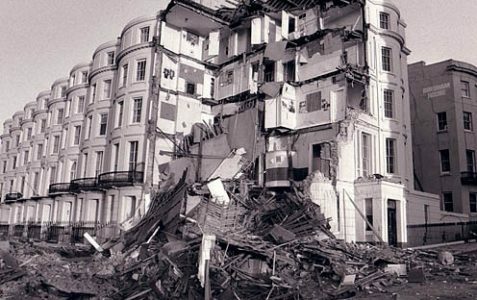 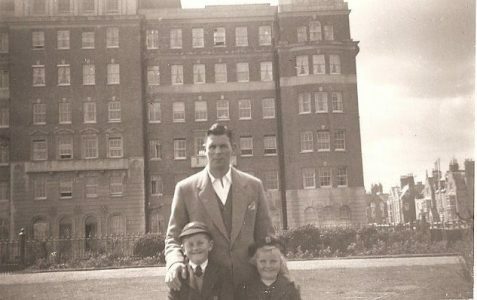 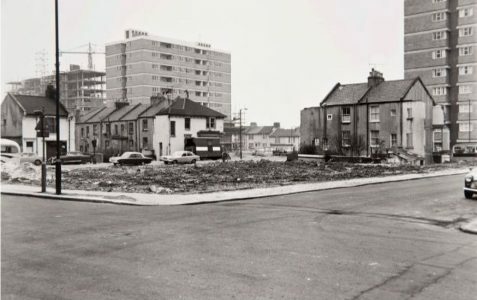 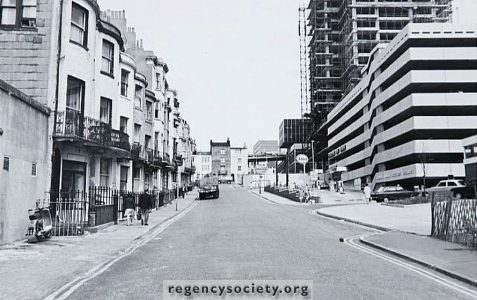 Brighton’s first tower block flats were erected on this site in 1961. 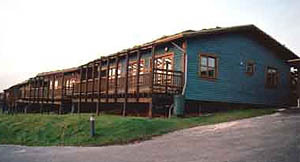 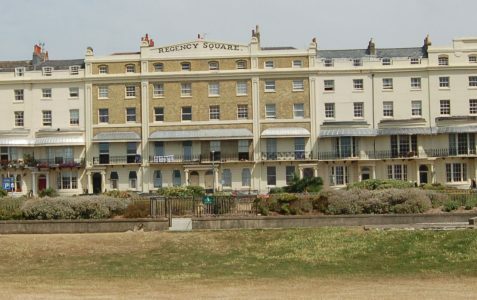 Constructed from about 1813 and named from the nearby battery on the seafront. 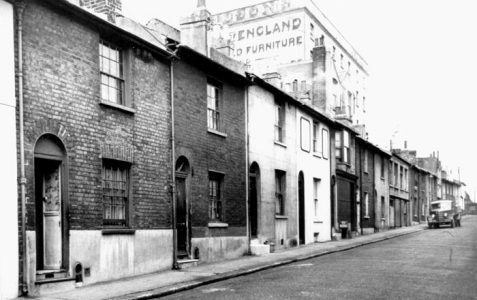 Cambridge Place, a block of flats, was erected on the site of this street. 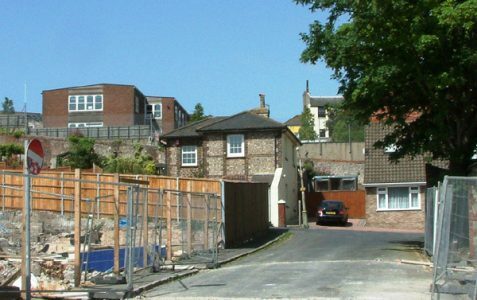 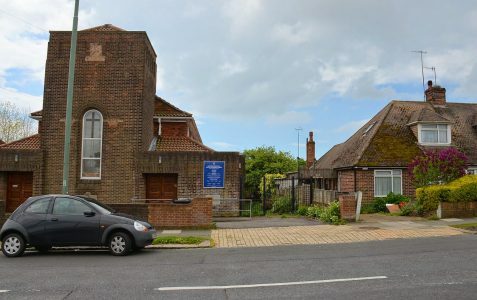 Church Road Portslade, derives its name from the medieval parish church of St Andrew’s. 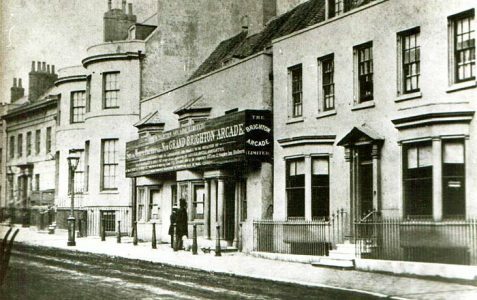 Circus Street commemorates the Royal Circus and Riding School opened in 1808. 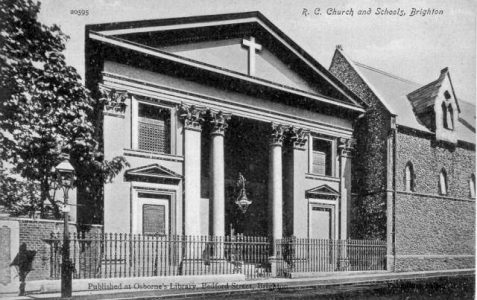 Aubrey Beardsley, the famous artist, attended the Church of the Annunciation situated between Coleman Street and Washington Street. 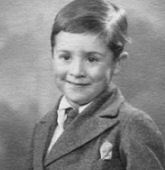 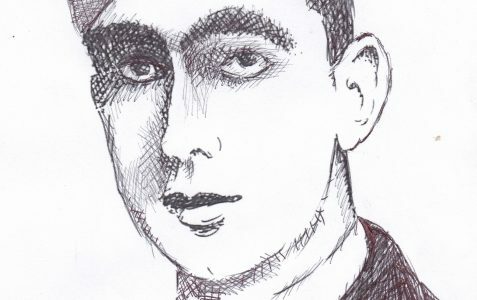 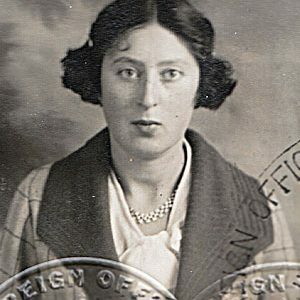 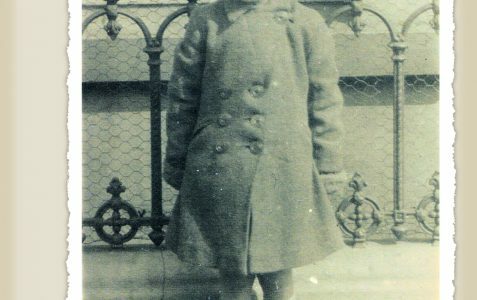 Osmond Elim D’avigdor-Goldsmid was the nephew of Sir Julian Goldsmid. 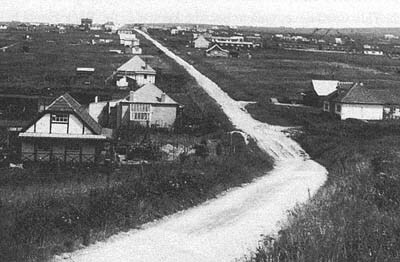 Davigdor Road is named after him. 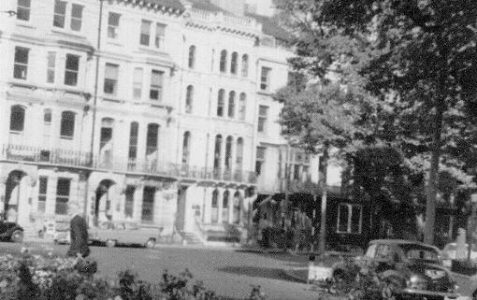 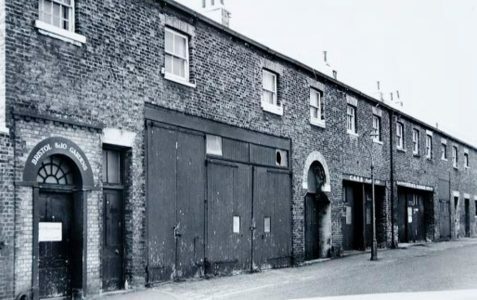 Devonshire Terrace was in the Albion Hill area. 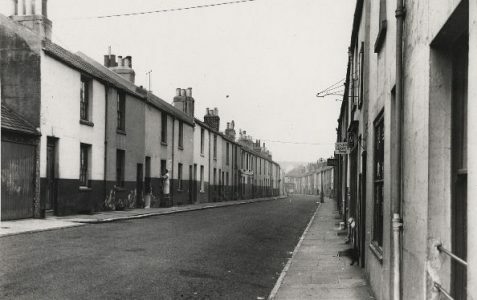 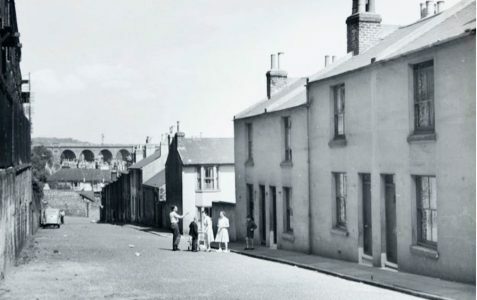 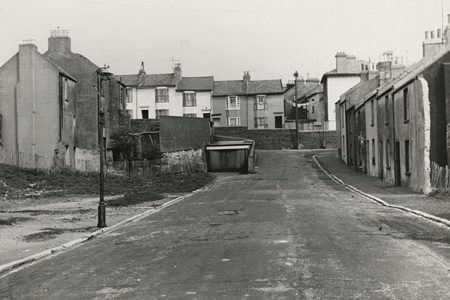 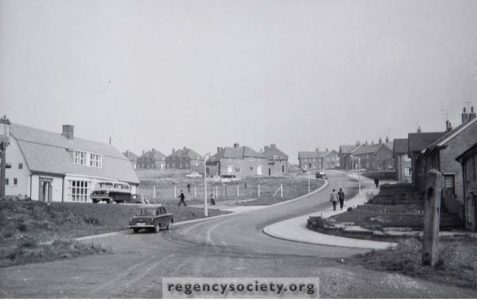 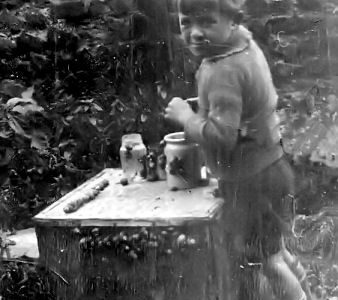 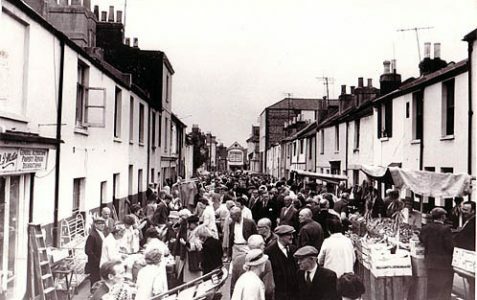 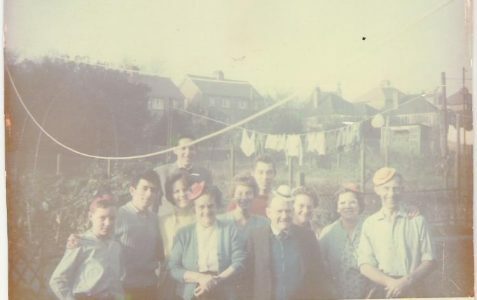 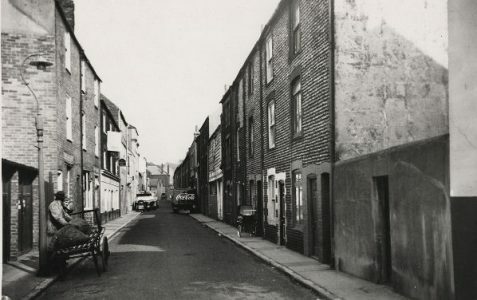 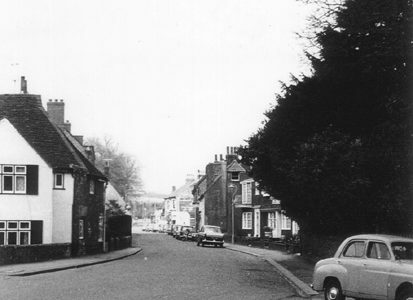 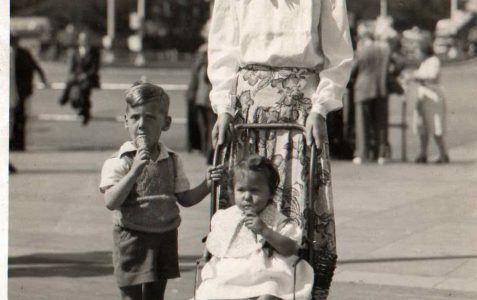 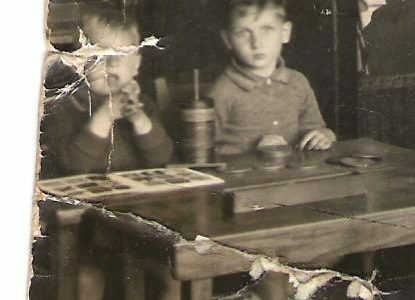 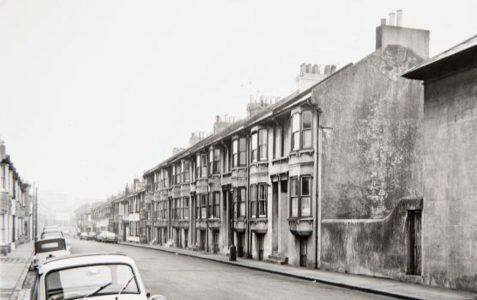 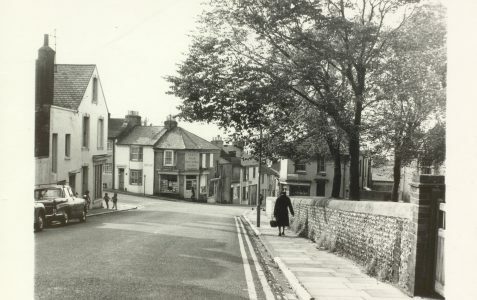 The street was demolished in about 1960. 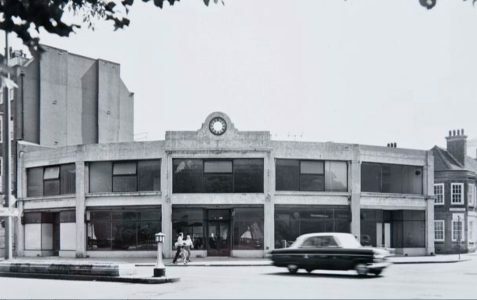 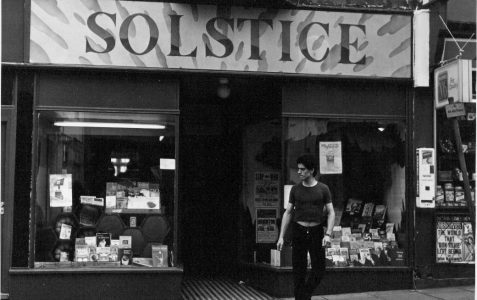 The site was later used for Amex House, which opened in 1977. 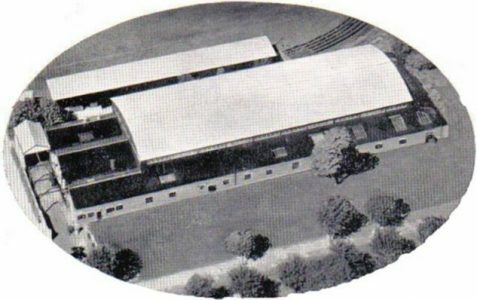 Sussex County Cricket Club, founded in 1839, has been at Eaton Road since 1872. 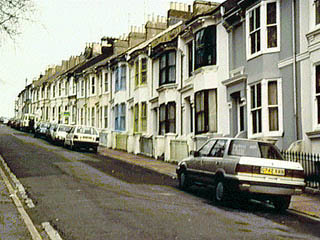 Florence Road has some fine large villas c1880 at its western end. 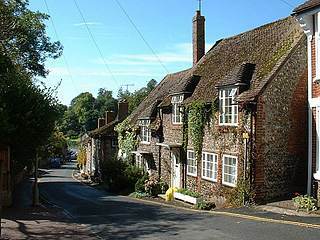 A narrow twitten, lined with very small but attractive bow windowed cottages built c1820. 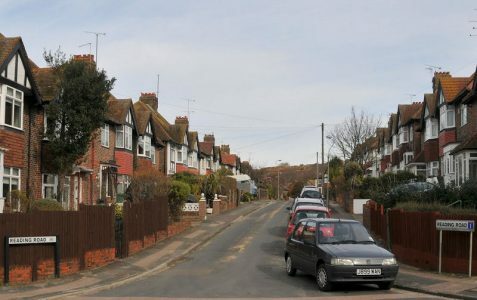 Godwin Road is believed to have been named after Godwin, the Earl of Wessex and father of King Harold. 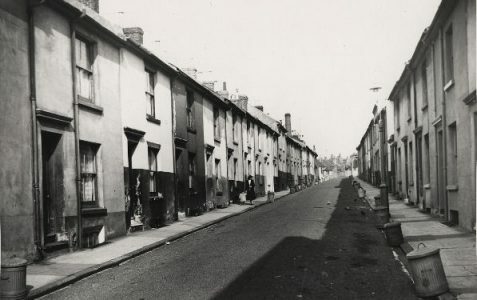 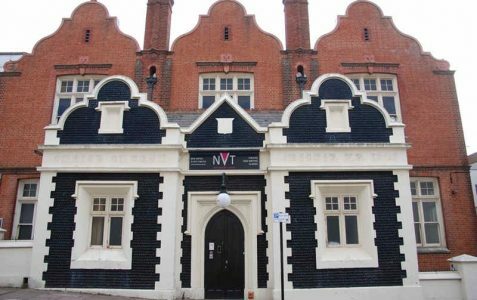 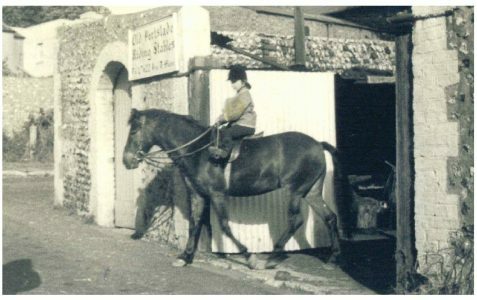 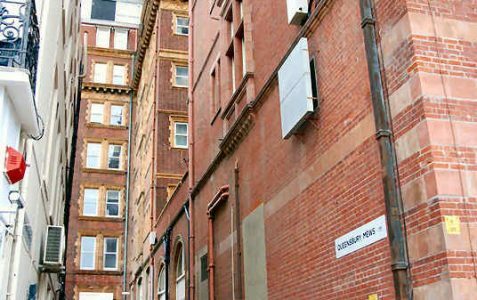 Goldstone Street was developed from the early 1870’s and pre-dates Goldstone Road. 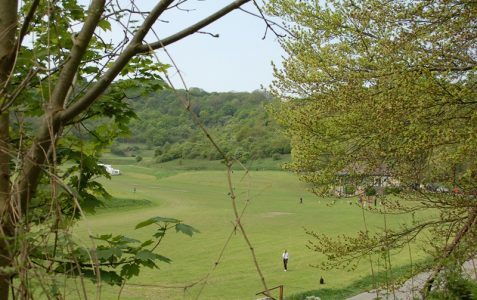 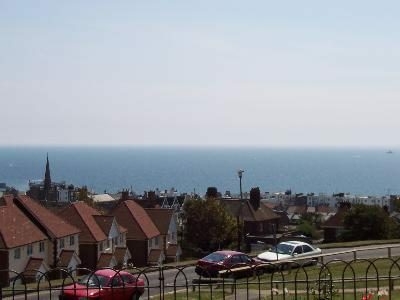 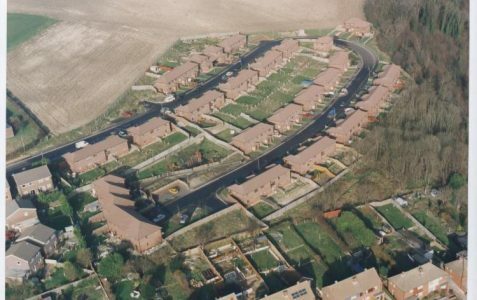 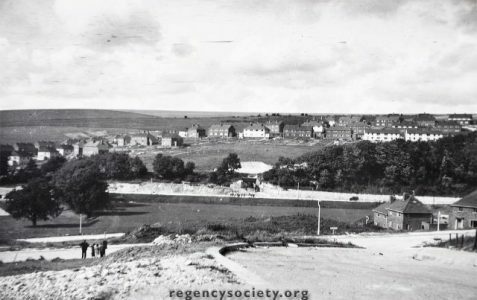 Greenways in Ovingdean was constructed pre 1850 and leads from the old village, south to the coast. 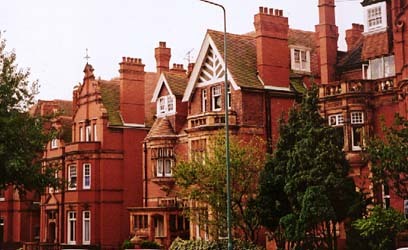 The imposing semi-detatched, red brick houses which line the street were built in the 1880s for upper middle class residents. 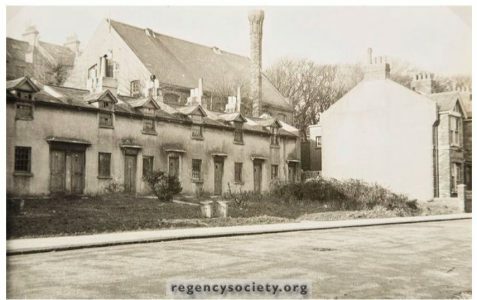 In Highview Avenue are Mill Cottages which date from c1780 but have been very heavily restored. 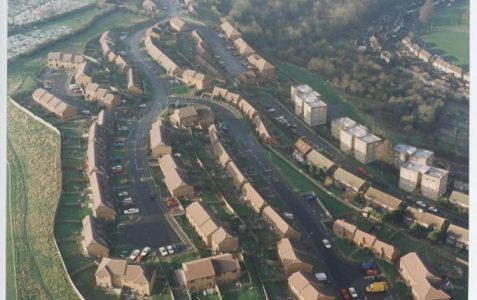 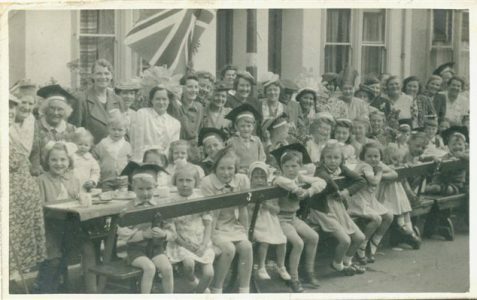 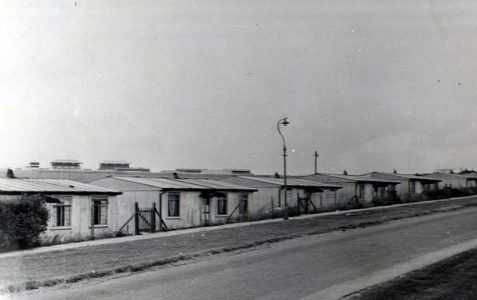 Hollingbury Industrial Estate is a post WWII development which was intended to ensure the prosperity and employment of local people. 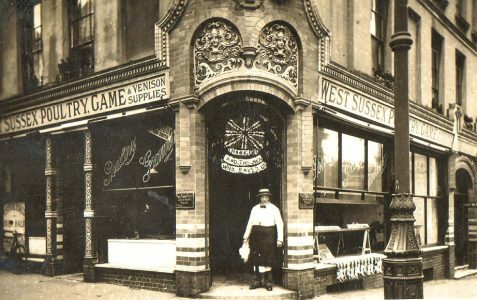 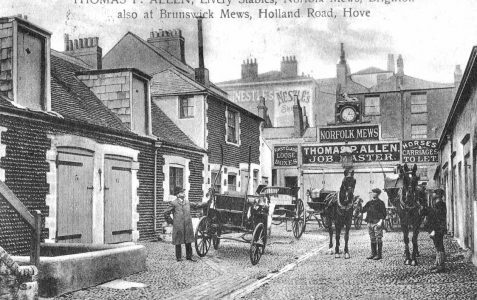 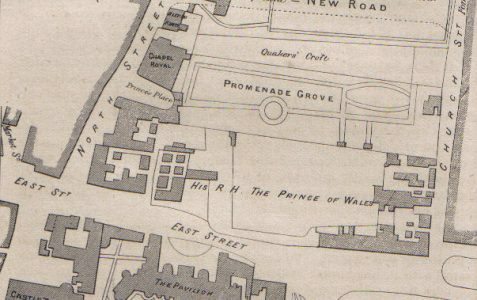 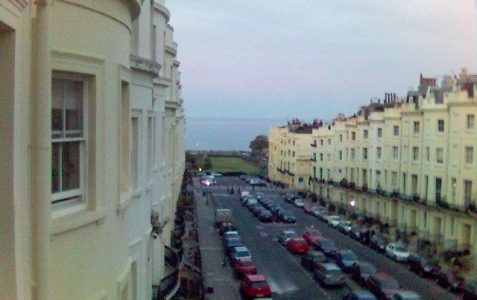 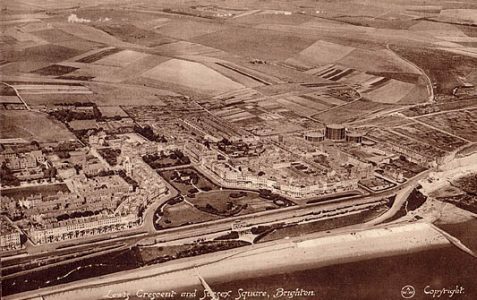 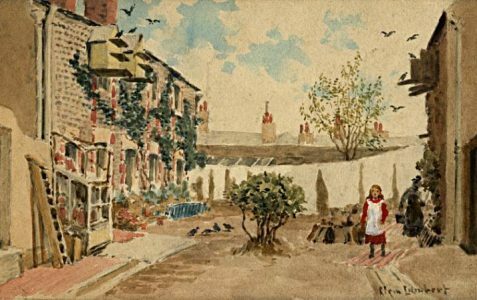 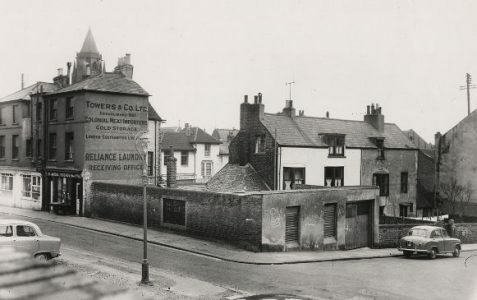 The original village of Hove was centred upon Hove Street before 1800, and consisted of just a few buildings. 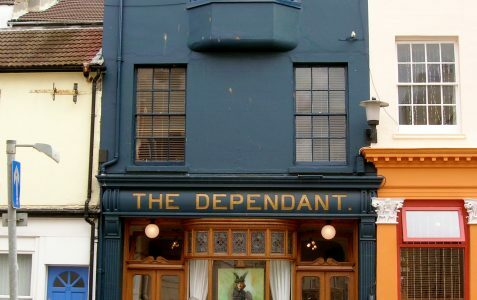 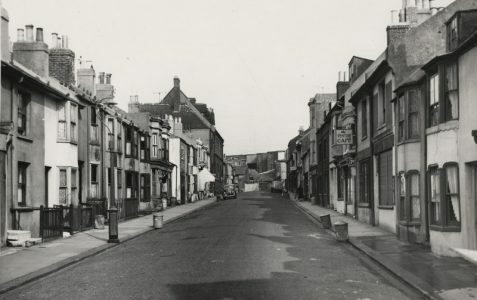 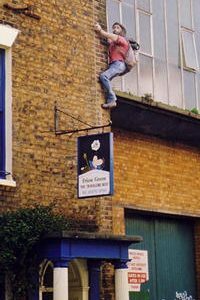 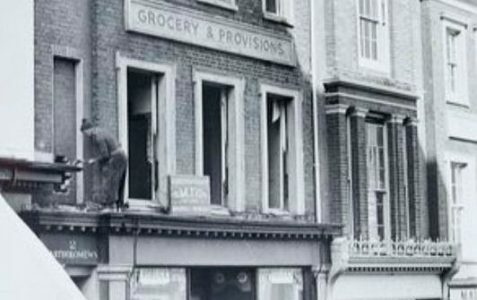 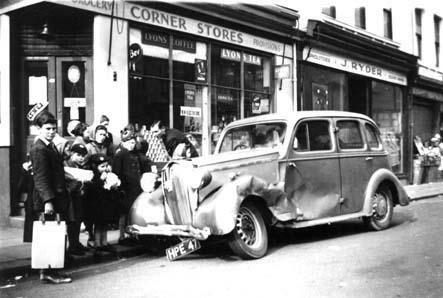 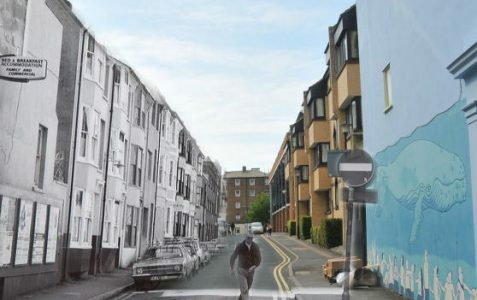 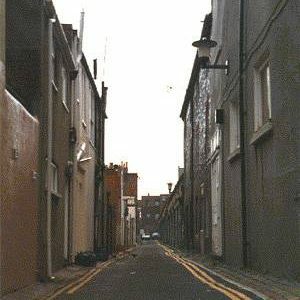 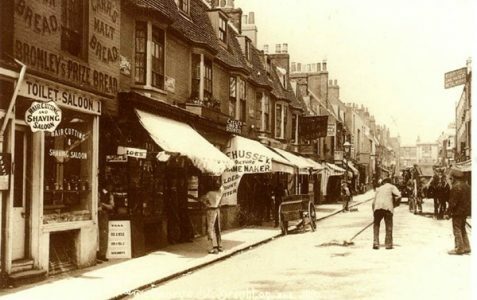 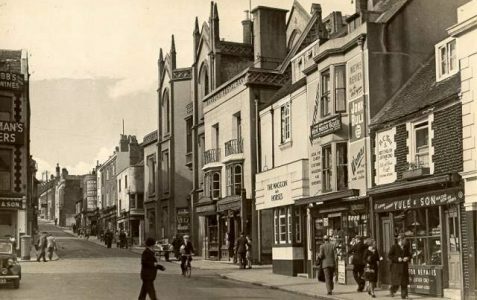 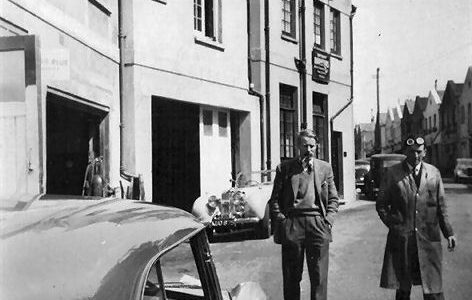 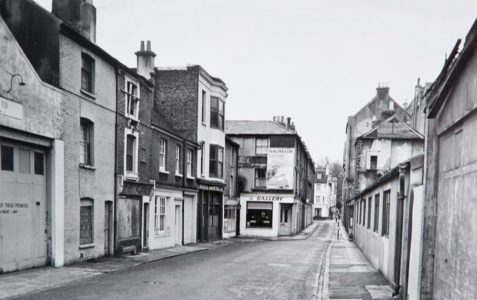 Situated in the North Laine, Kemp Street is infamous for being the scene of the Trunk Murders in 1934. 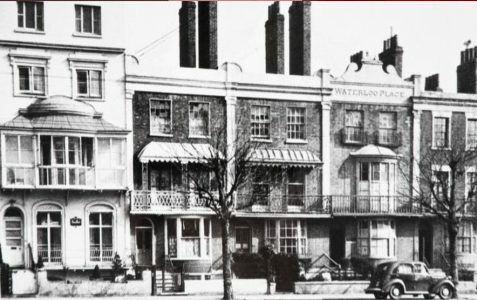 Developed from about 1808 onwards, Kensington Gardens, which is now a pedestrian shopping precinct, did indeed contain houses with gardens. 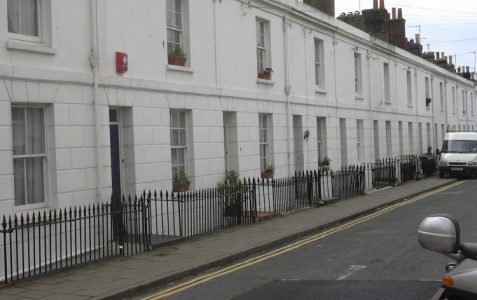 Kensington Place is lined with small terraced houses and cottages of the 1820s with gardens on the western side. 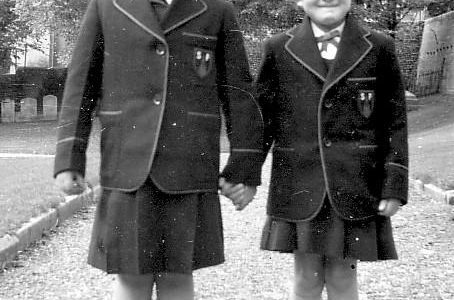 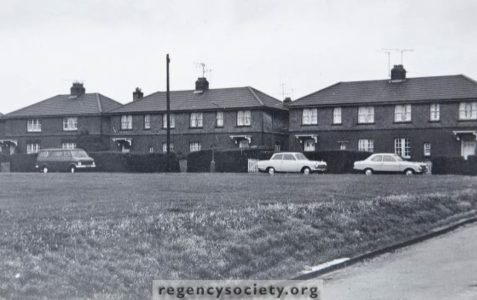 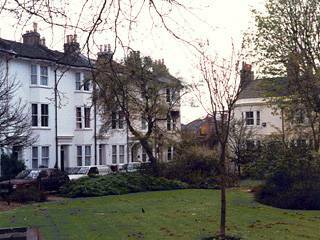 A flat in King’s Gardens was a residence of Sir George (the famous comedian) and Lady Robey in the 1960’s. 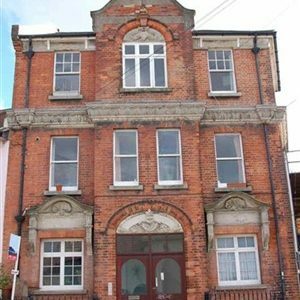 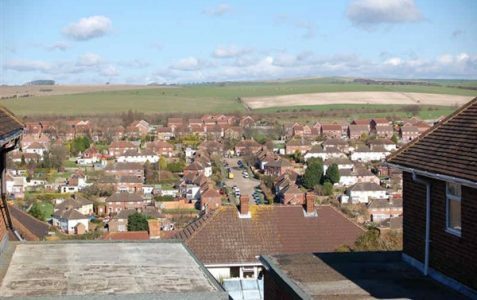 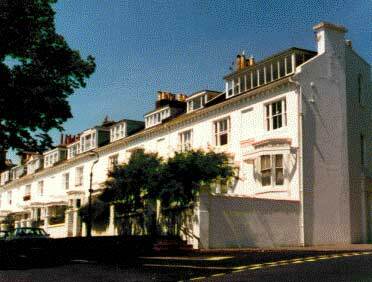 Lewes Cresent is a magnificent crescent of twenty eight four storey houses c1826/7. 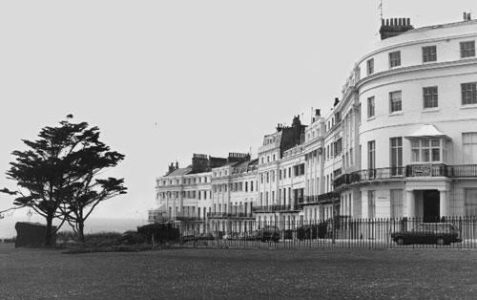 The crescent has a span of 840 feet. 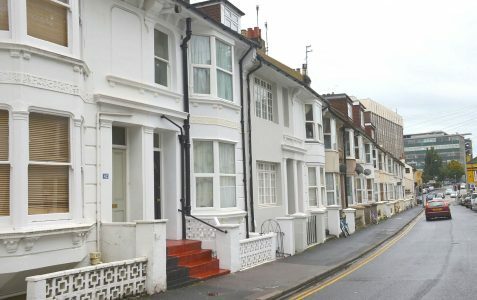 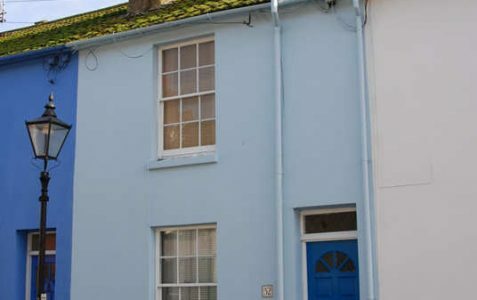 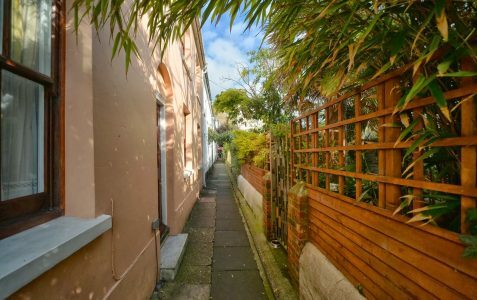 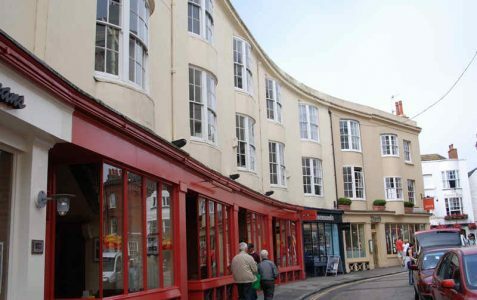 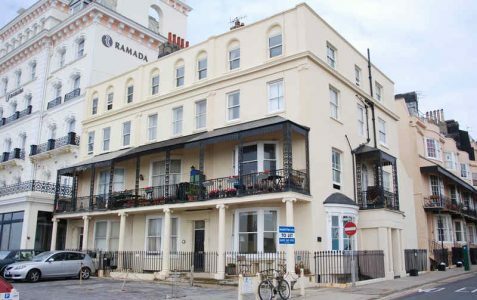 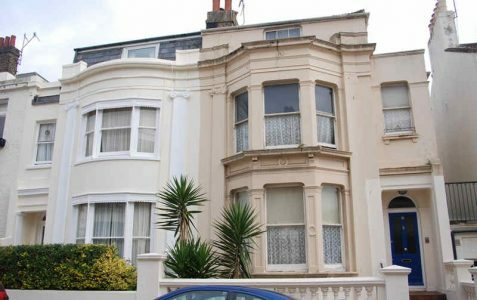 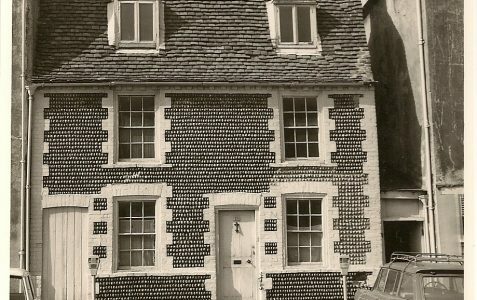 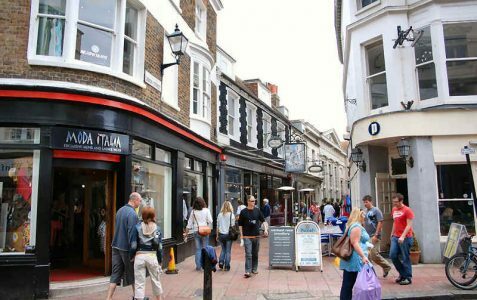 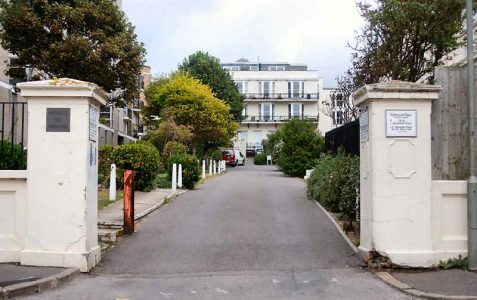 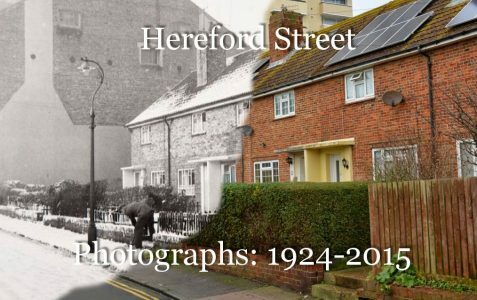 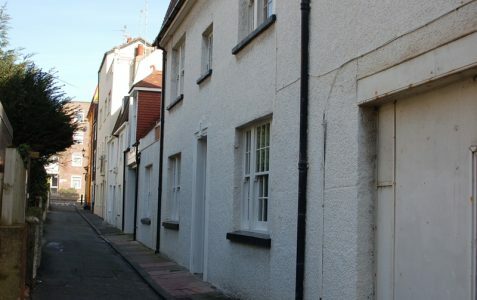 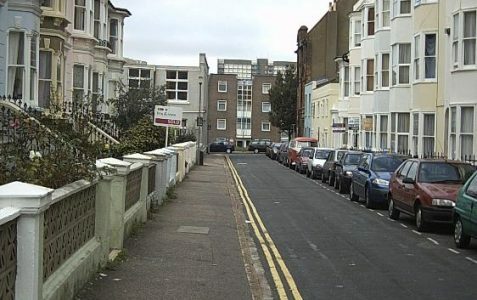 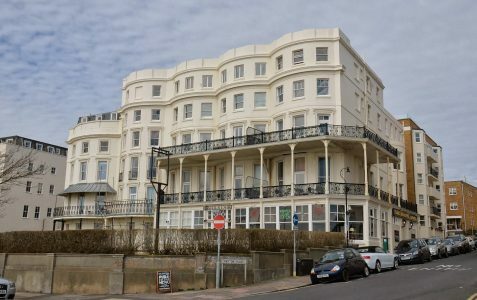 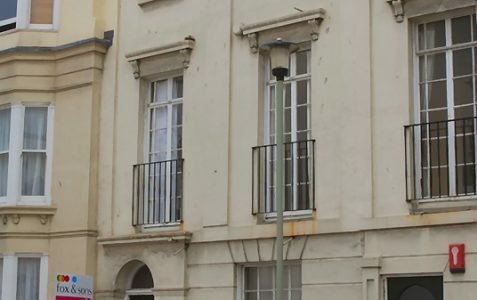 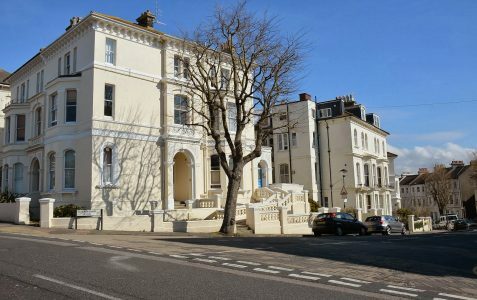 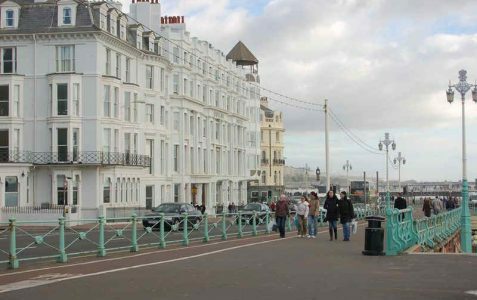 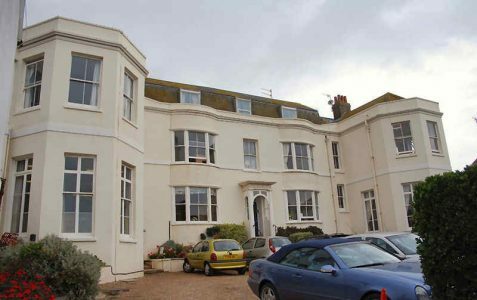 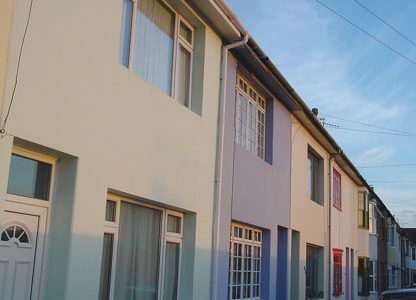 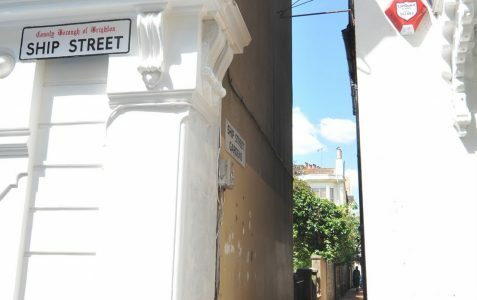 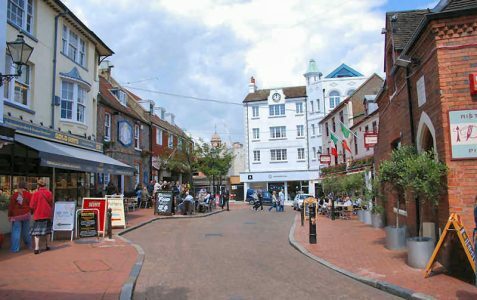 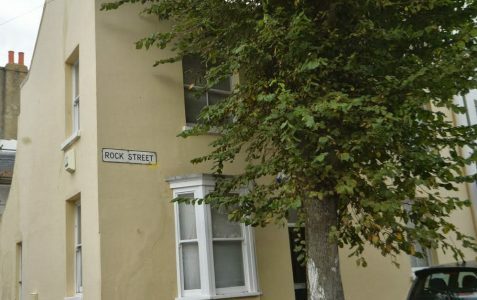 Leading from Bartholomews to the seafront, this street contains a number of listed buildings which date from the early 1800s. 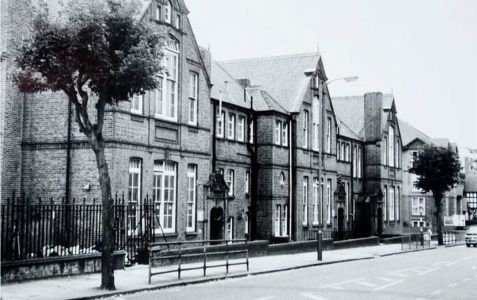 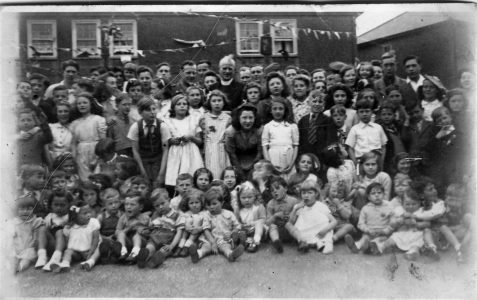 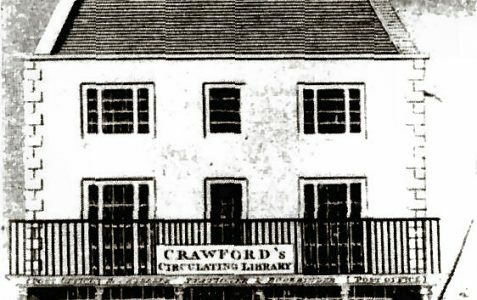 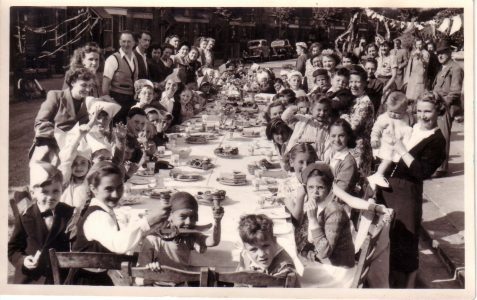 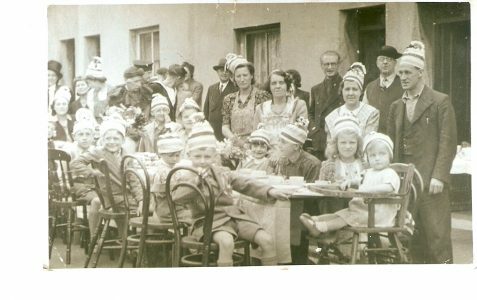 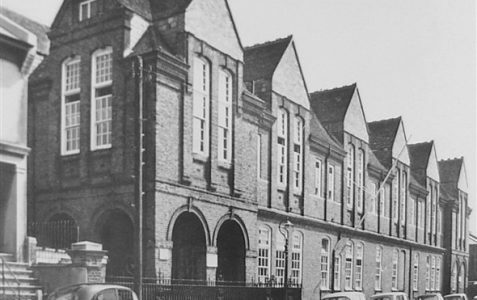 In 1871 a Church elementary day school for poor children was established in Little Russell Street. 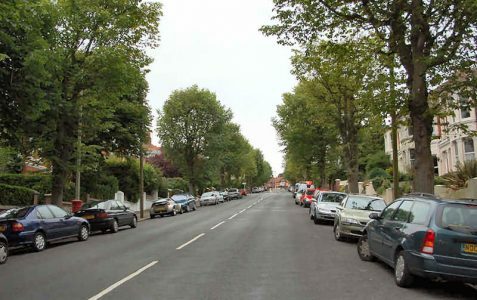 Together with Preston Road, London Road forms an attractive, tree-lined approach to the city centre. 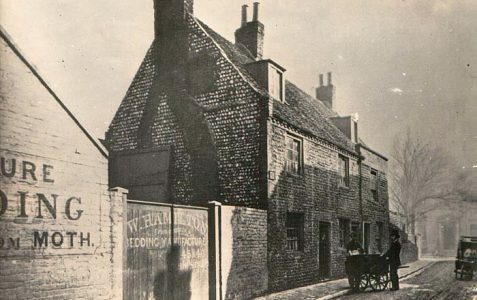 Manchester Street contains two listed buildings, namely the Star public house and a restaurant; both are late 18th century buildings. 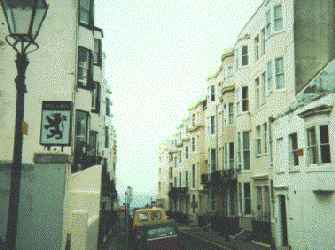 Marine View is a small terrace off Carlton Hill. 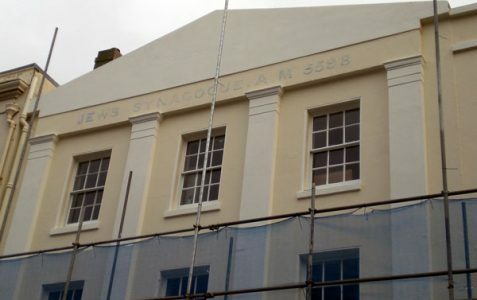 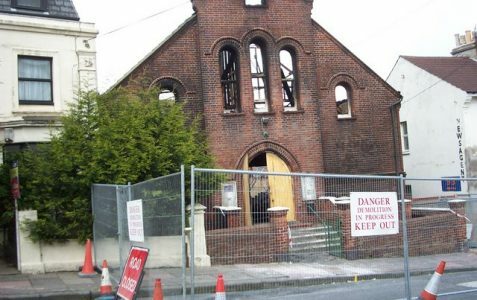 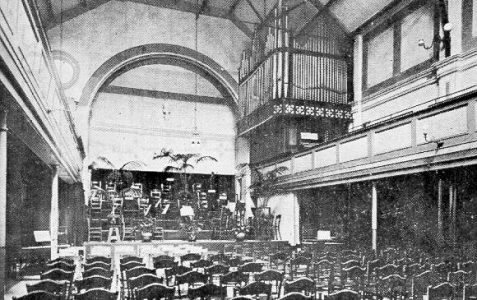 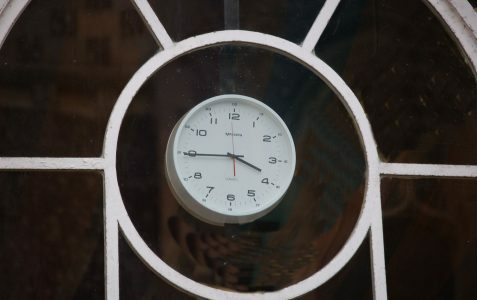 This twitten is named from the former Presbyterian Meeting House in Union Street. 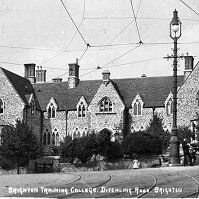 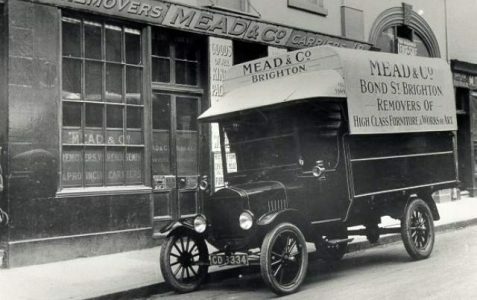 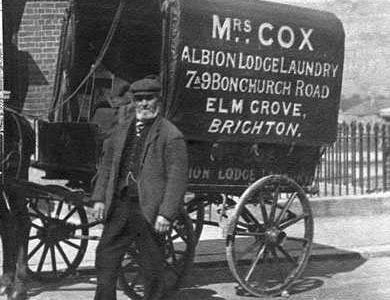 In 1909 the United Company operated Brighton’s first electric buses from a depot in Montague Place. 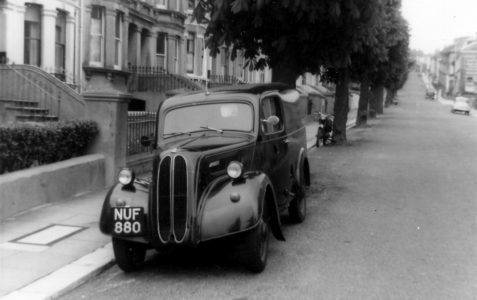 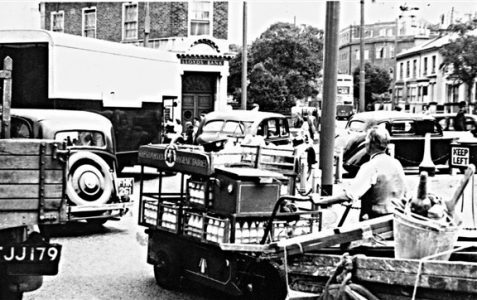 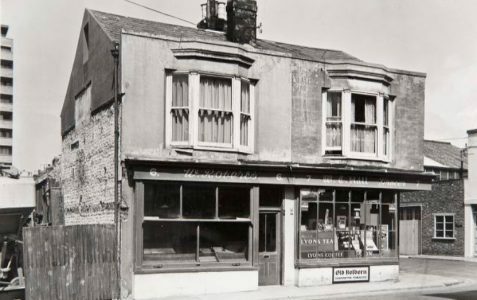 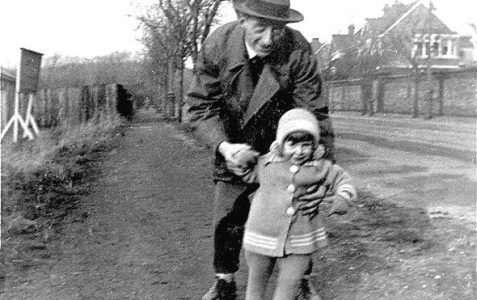 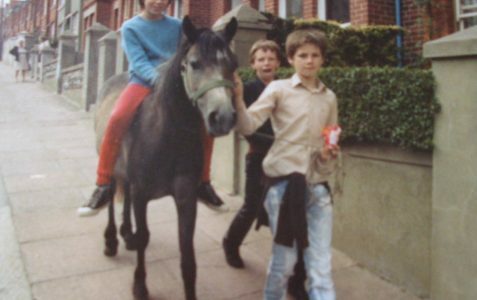 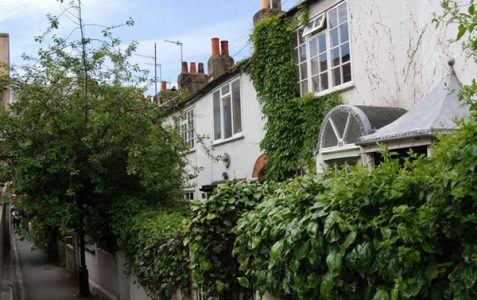 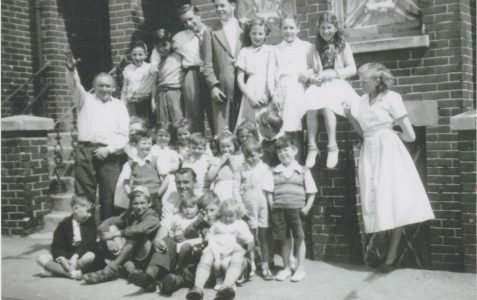 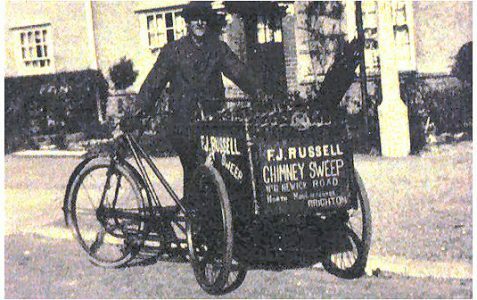 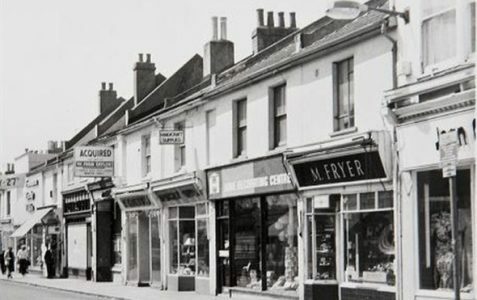 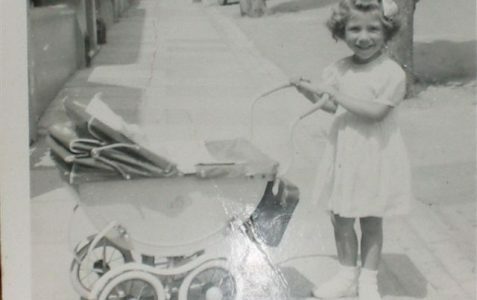 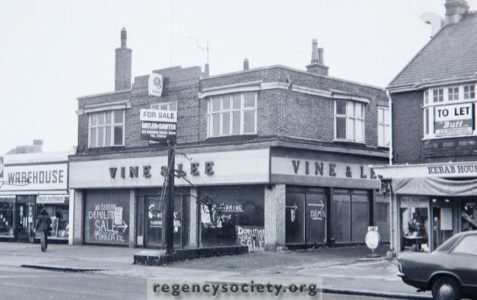 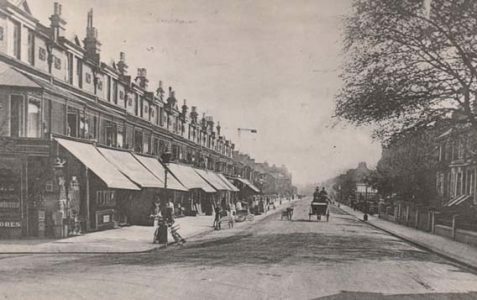 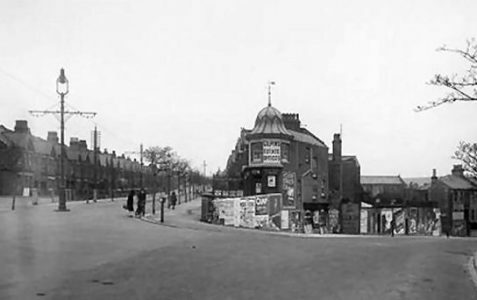 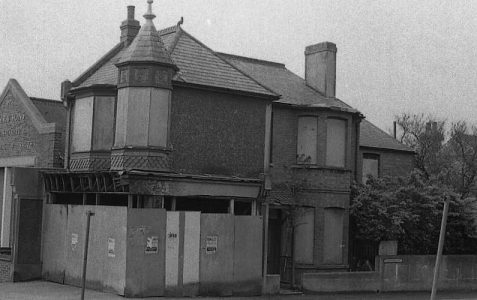 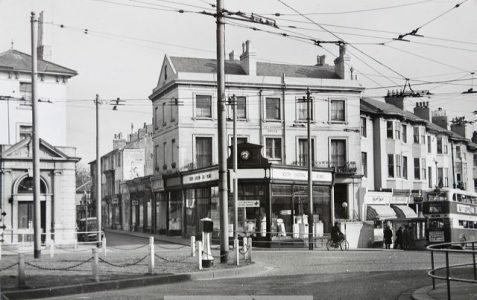 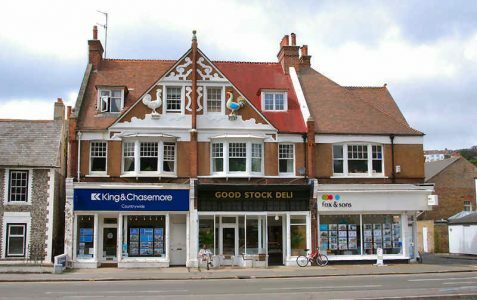 Developed from the 1820s, Montpelier Road once ran from King’s Road to Ditchling Road. 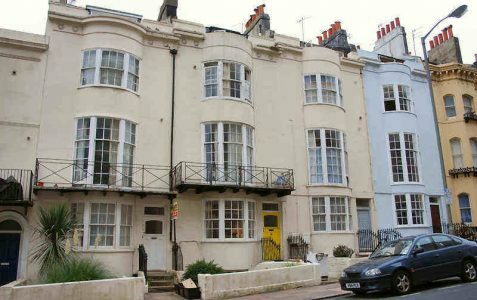 A listed three storey terrace dating from c1830. 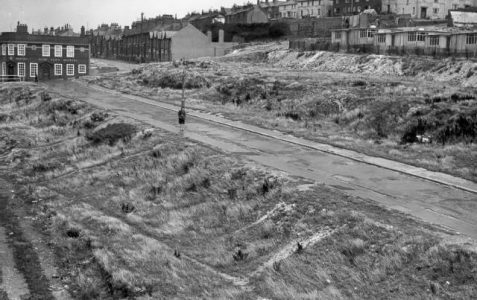 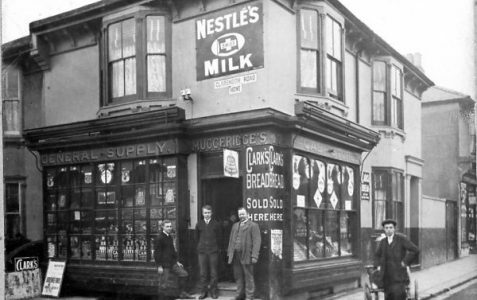 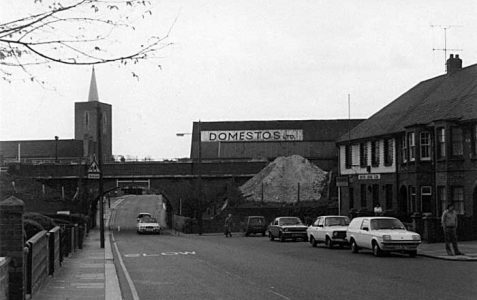 New York Street was situated in the area behind London Road where the large Sainsbury’s store was built. 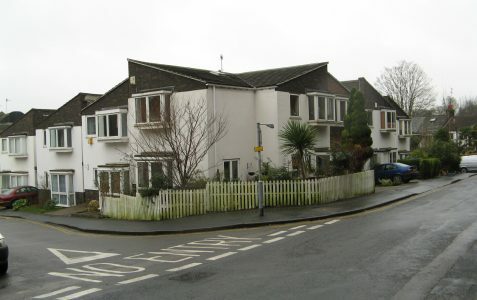 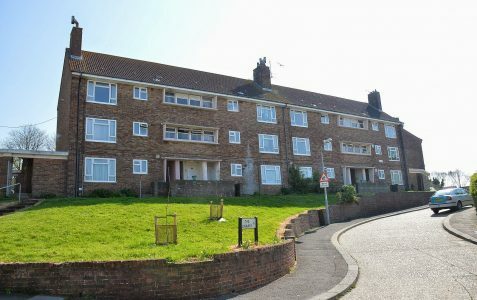 Newick Road is part of the housing estate North Moulsecoomb. 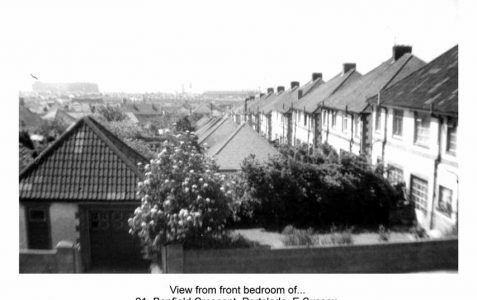 This estate of 390 houses was built between 1926-30. 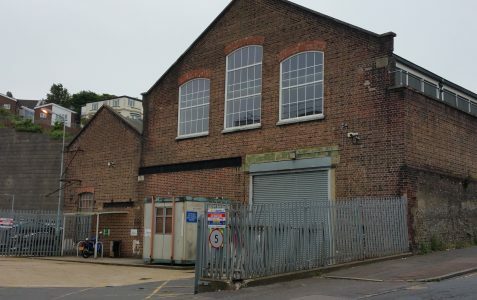 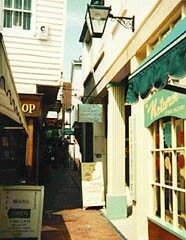 Norfolk Mews is off Norfolk Street, Brighton. 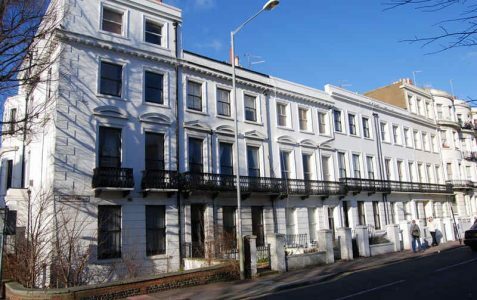 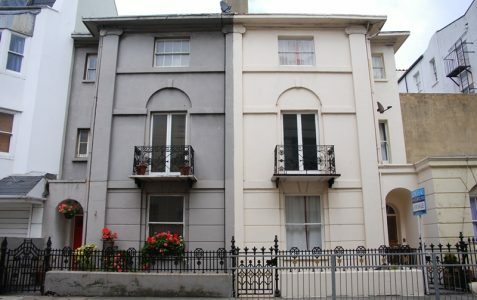 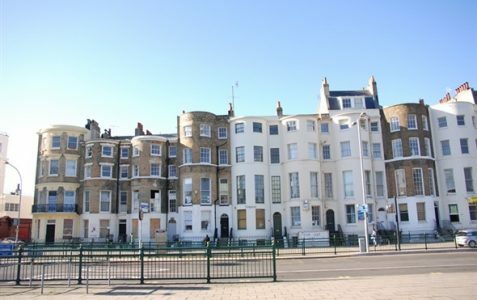 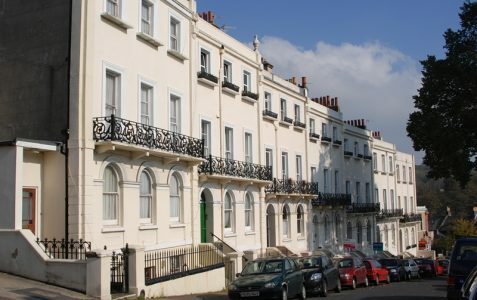 Developed in the 1820s, Norfolk Square is lined with three storey houses, many with wide bows and balconies. 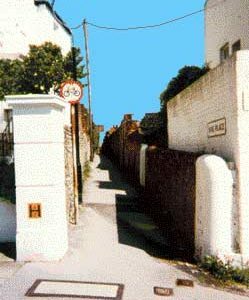 A narrow road with some charming early nineteenth century cottages. 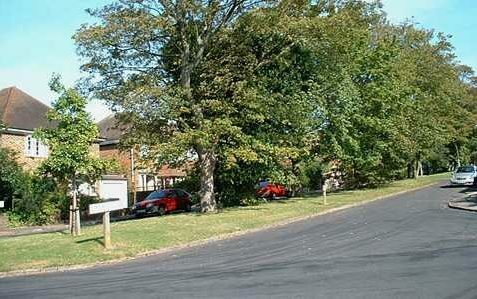 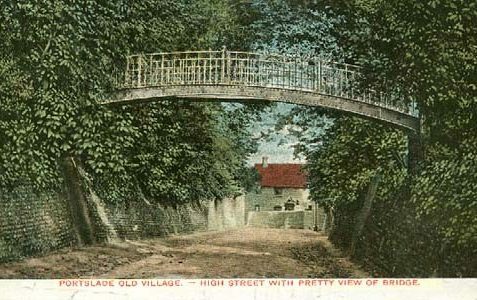 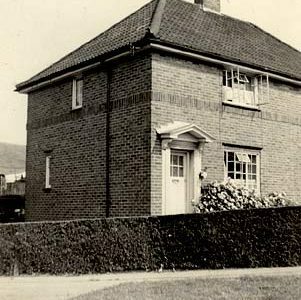 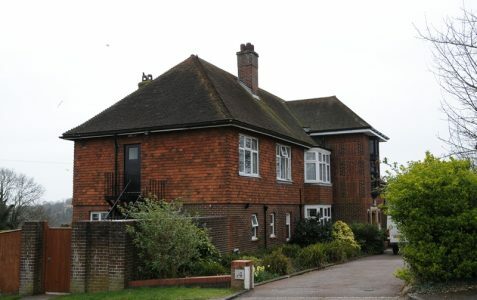 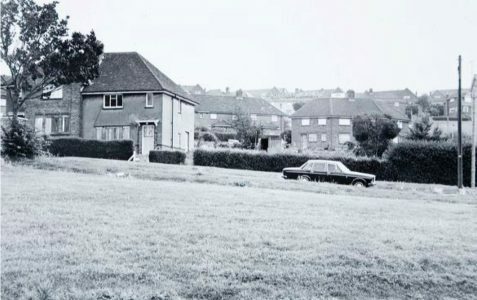 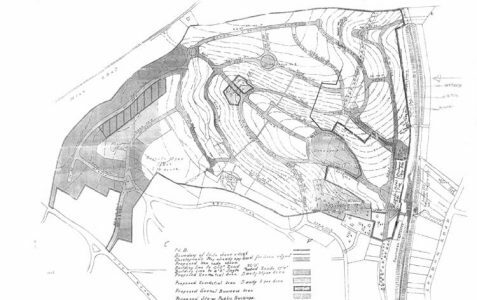 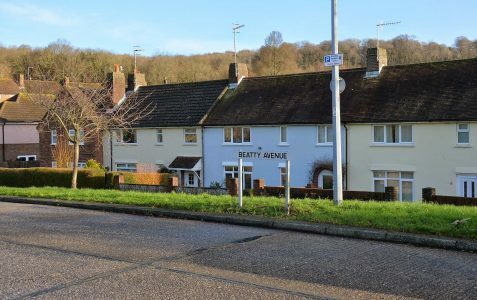 Old mill Close Patcham was so called as it is in the vicinity of the site of Ballard’s Mill c1780. 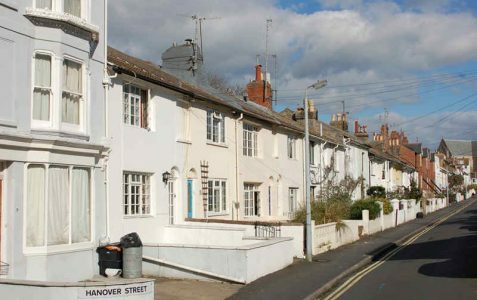 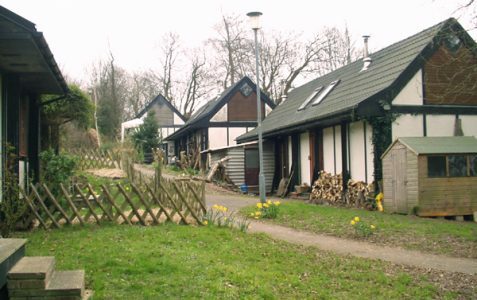 All the houses are Grade II* listed buildings, designed by A.H.Wilds and built from 1825 onwards. 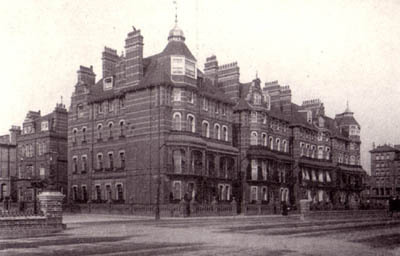 Park Place was demolished in the late 1930s. 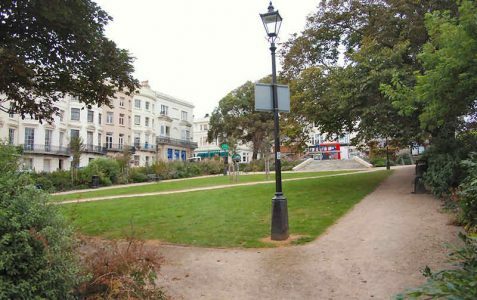 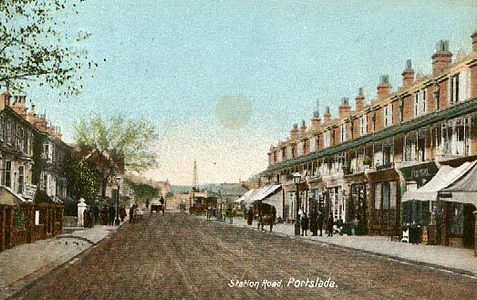 Pelham Square was built in the second half of the 19th century and named after Lord Pelham of Stanmer. 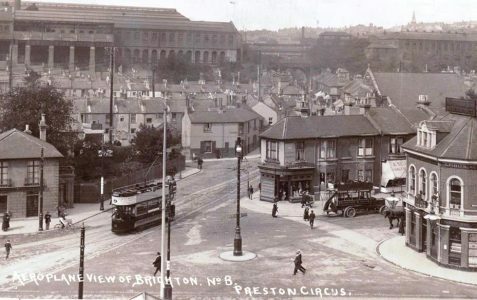 Preston Drove was once an ancient trackway. 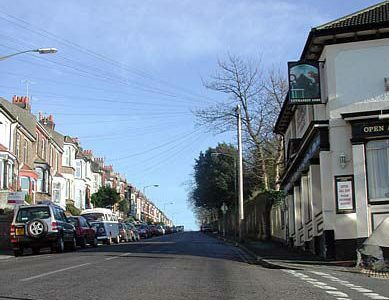 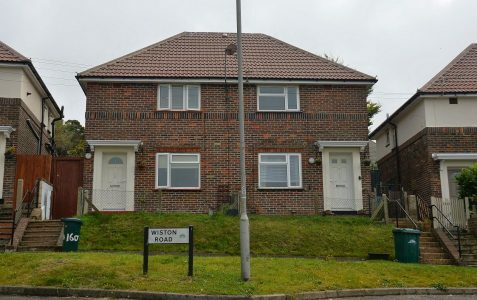 Preston Road runs the length of the former Preston parish from Preston Circus to London Road, Patcham. 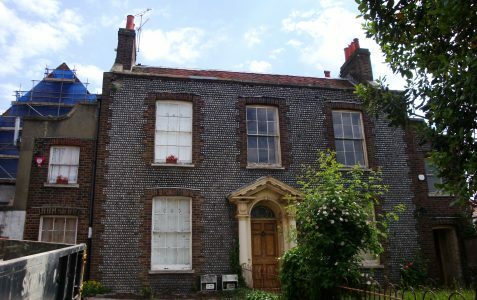 Probably named from Preston Manor, former home of the Western family after whom Western Road was named. 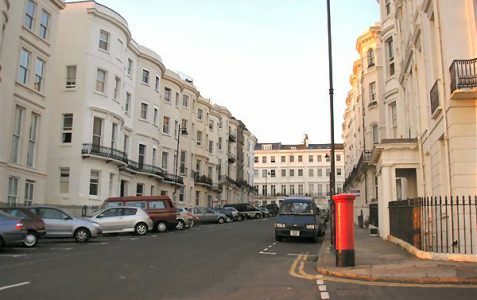 Queen Square is a wide cul-de-sac in the vicinity of the Clock Tower. 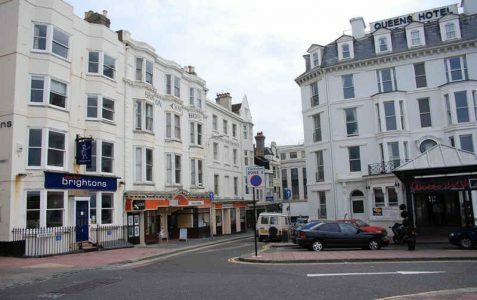 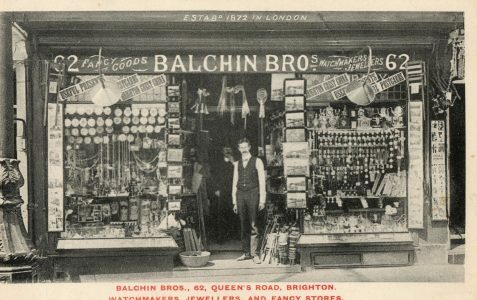 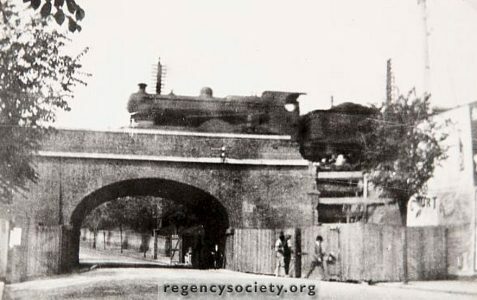 This major commercial thoroughfare was constructed in 1845 to improve access to Brighton Station from North and West Street. 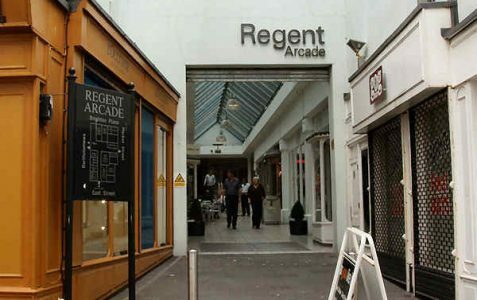 Regency Mews lies behind the grand facade of Regency Square. 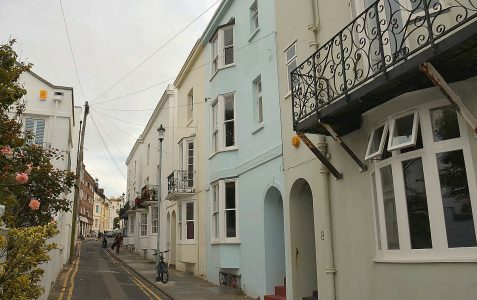 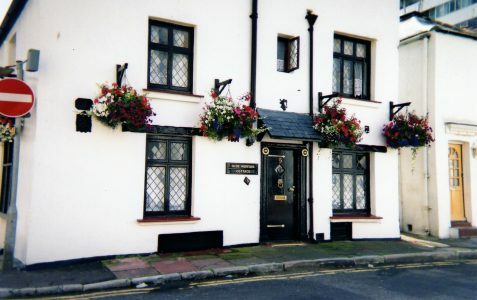 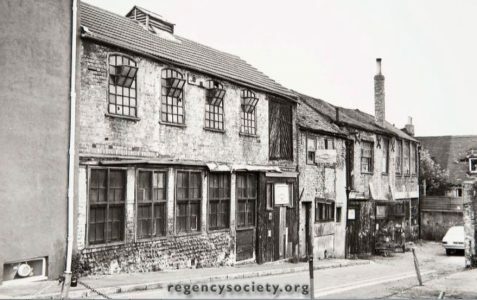 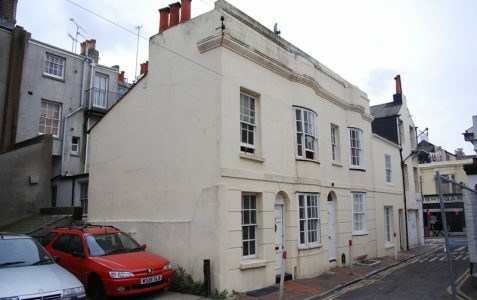 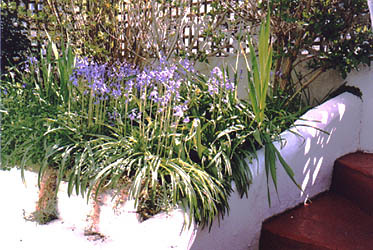 Regent Hill retains small attractive artisan cottages of the 1820s, many with bowed facades or windows and balconies. 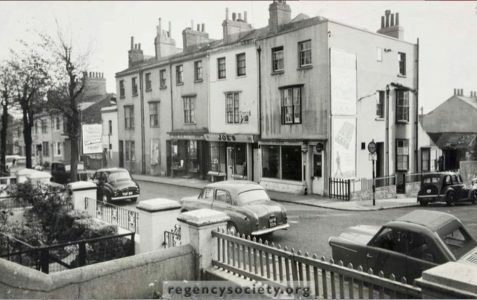 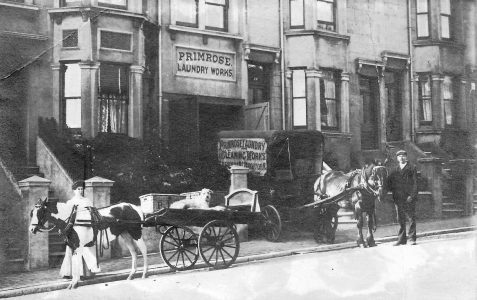 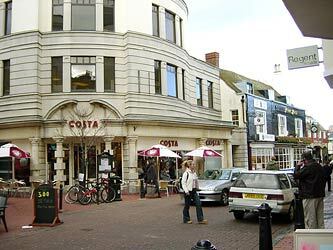 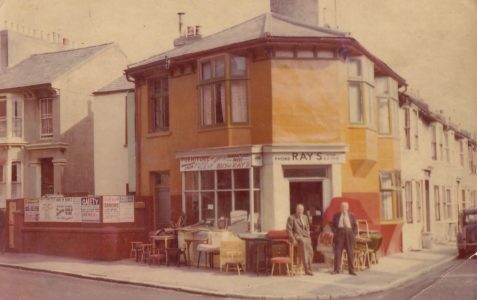 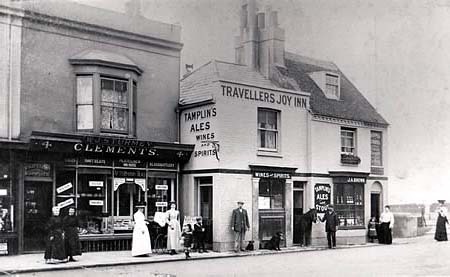 Richmond Buildings was situated off the present-day Richmond Parade. 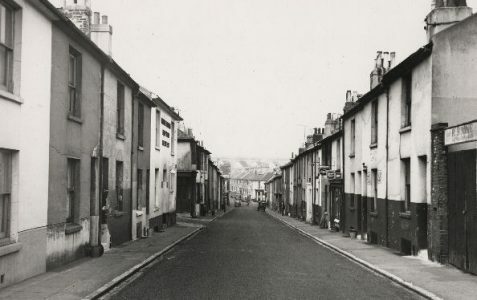 The street was condemned in 1958. 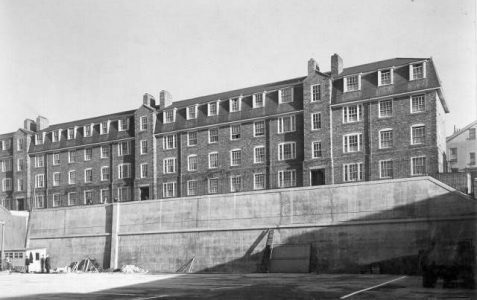 Richmond Hill was demolished as part of the Morley Street redevelopment in the late 1930s. 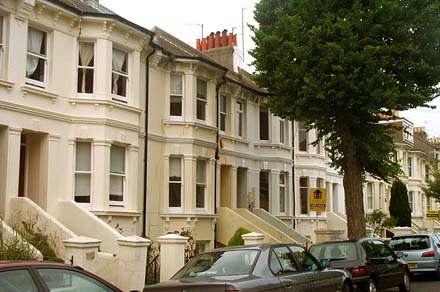 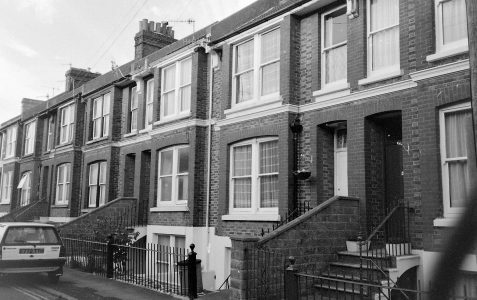 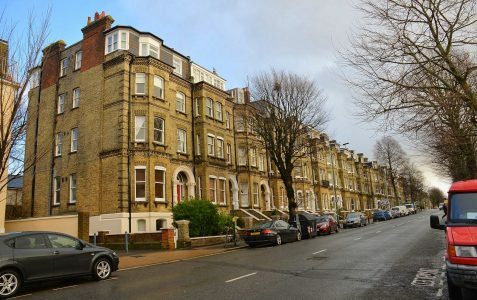 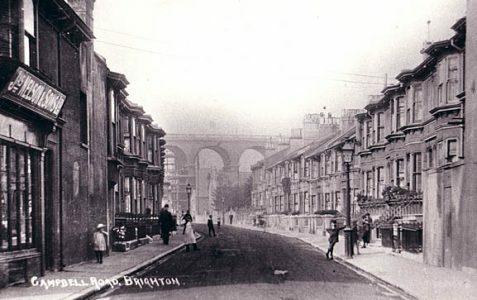 Richmond Road was developed in the 1860s with impressive middle-class housing. 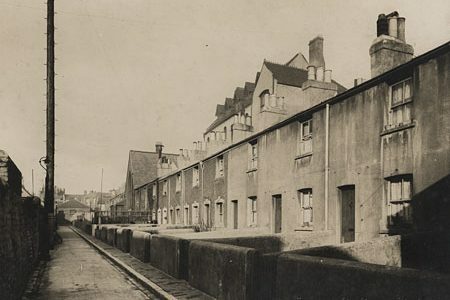 Smaller dwellings were constructed in nearby streets. 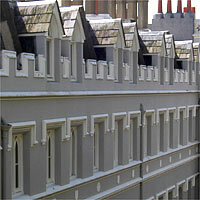 Russell Square, developed by c1825, has listed terraces on its western and southern sides designed by A H Wilds. 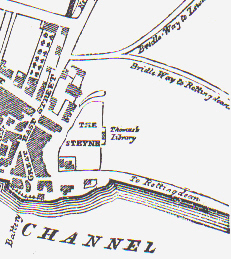 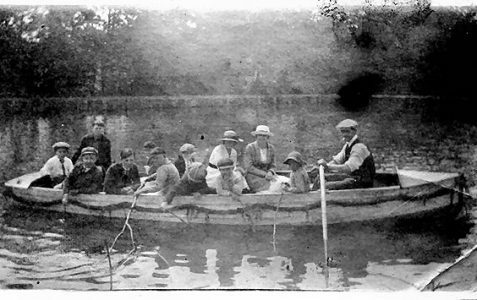 A small twitten which runs from Ship Street to Middle Street. 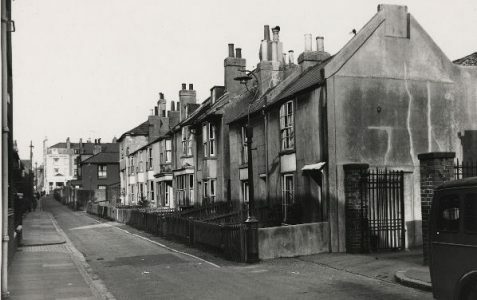 Sillwood Place leads from a small gateway at Sillwood Street to Sillwood House. 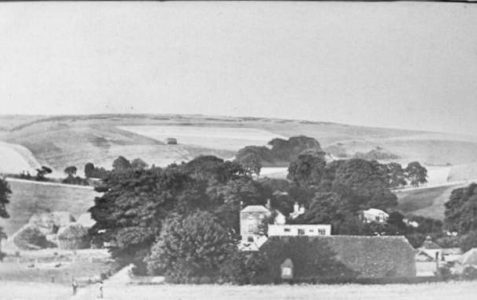 It was built c1827-28 by Amon Wilds. 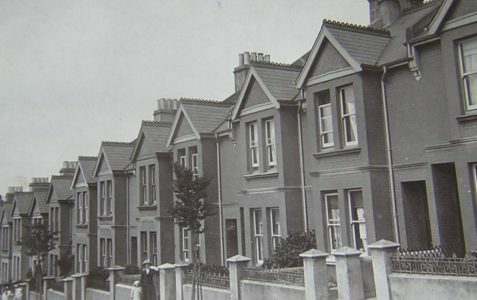 Sillwood Road was known as Western Cottages until about 1870. 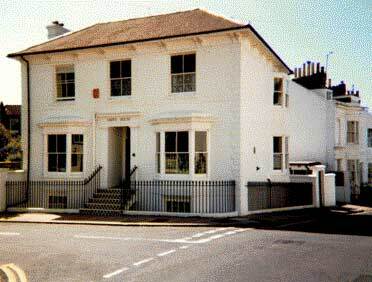 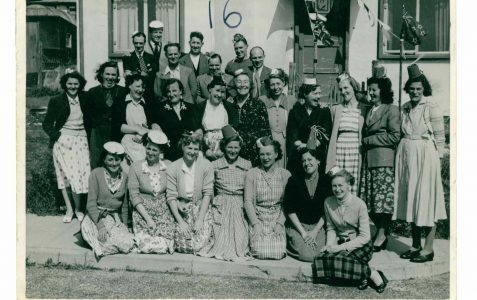 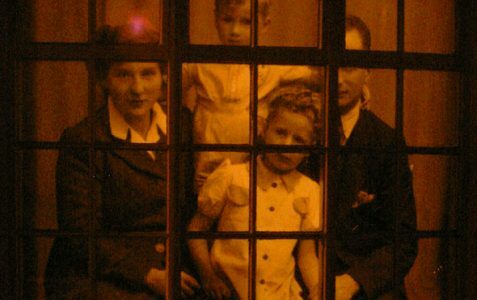 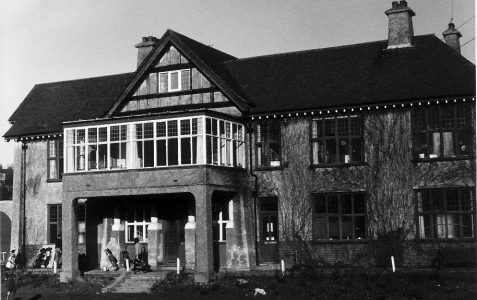 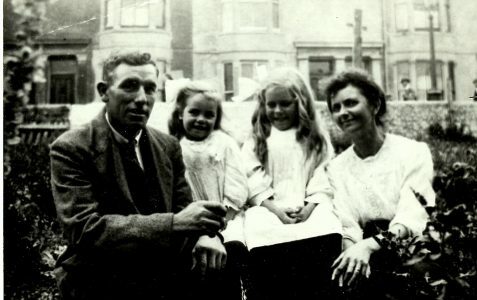 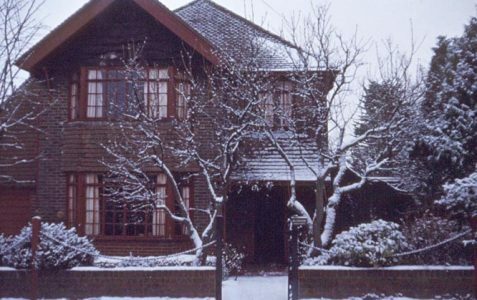 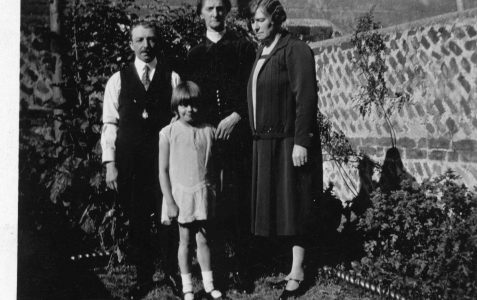 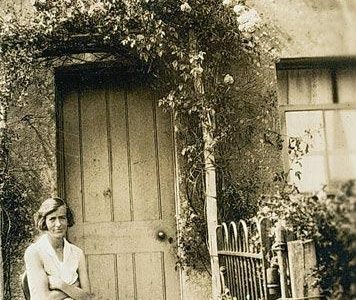 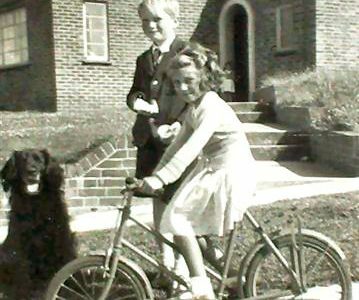 From 1897 to 1900 Virginia Woolf, then known as Virginia Stephens, stayed with her family at 9, St. Aubyns. 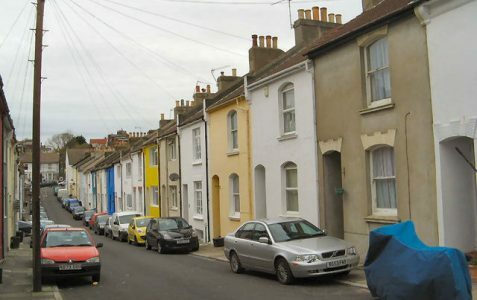 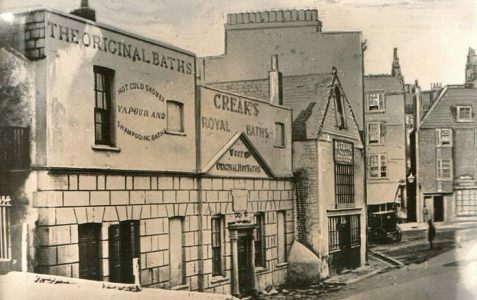 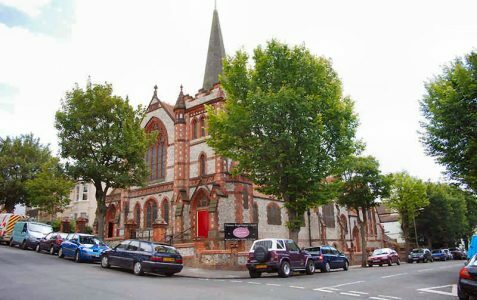 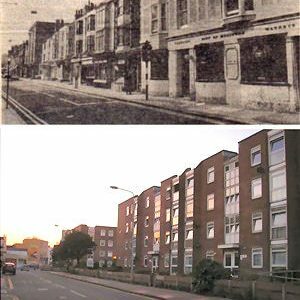 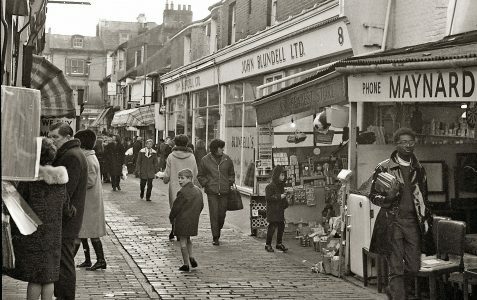 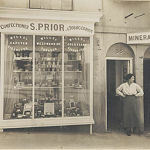 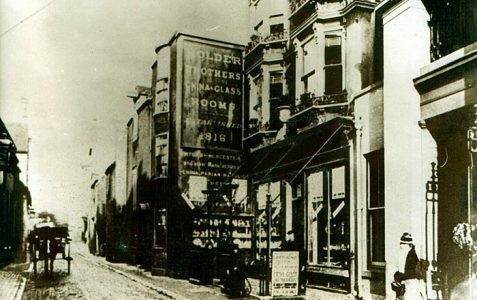 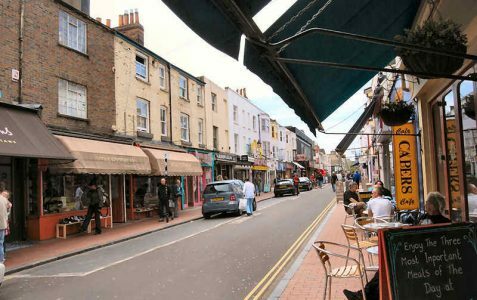 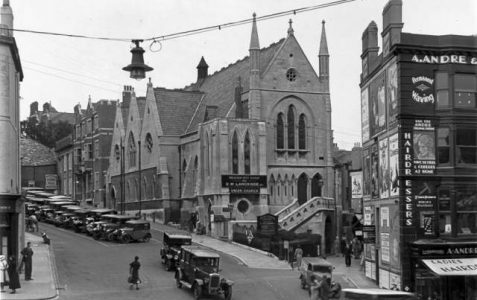 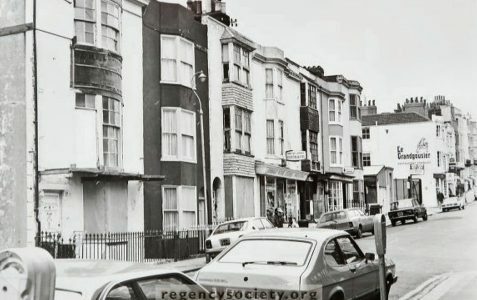 Kemp Town’s main street was developed principally in the 1830s and 1840s, and is named from St George’s Church. 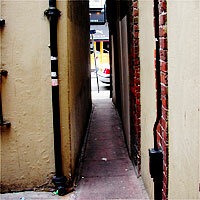 St James Passage is a twitten off Hanover Street. 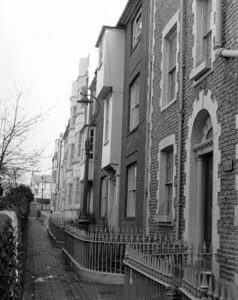 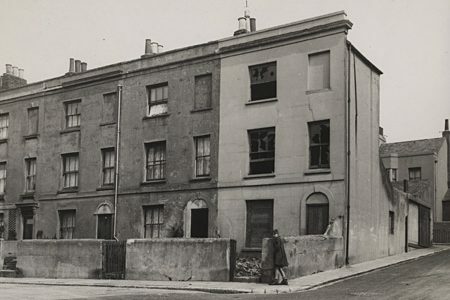 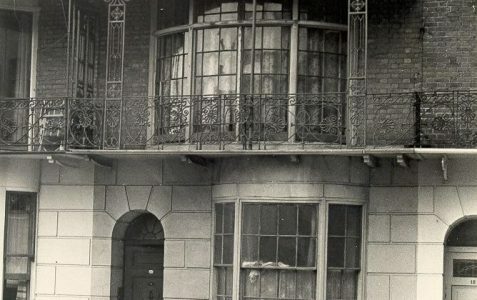 St James’s Place is a row of early 19th century listed houses with fanlight doorways behind small front gardens. 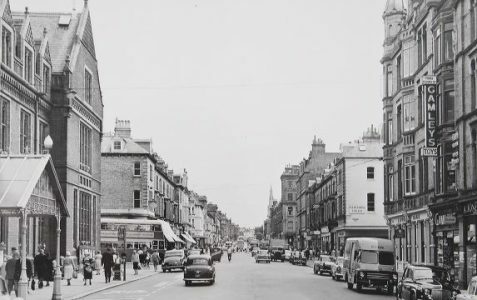 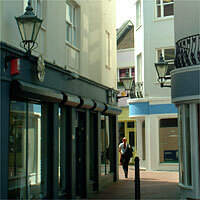 St James’s Street was first developed in the 1790s and was the principal shopping street of the eastern town. 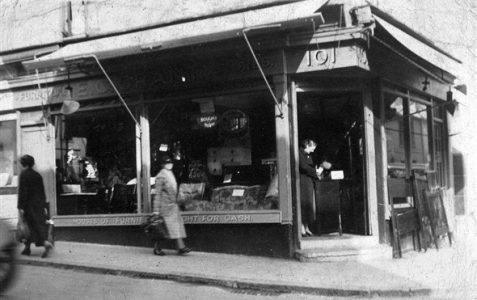 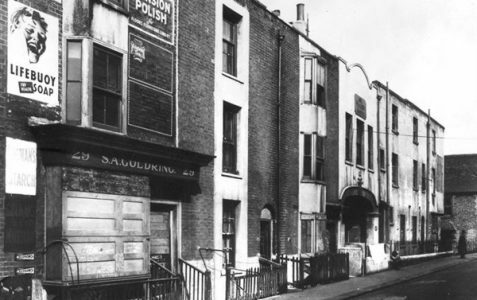 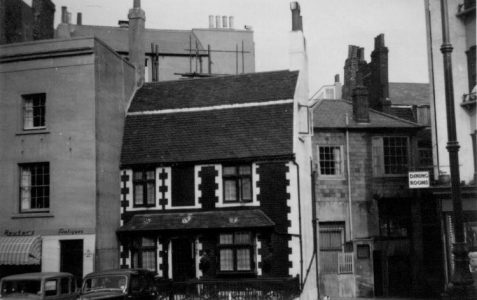 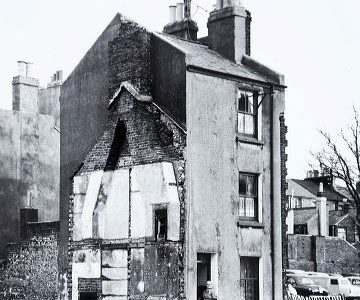 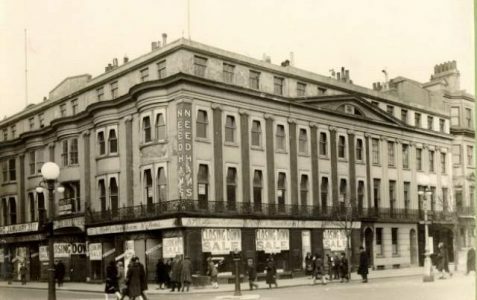 St John’s Place was demolished in the late 1930s. 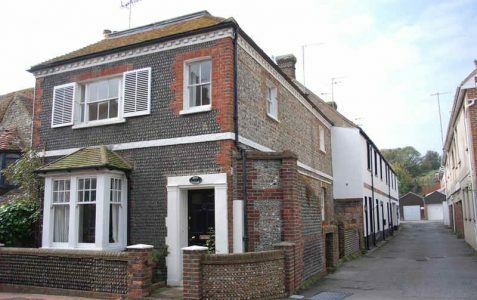 Built in the 1820s and originally named Regency Cottages. 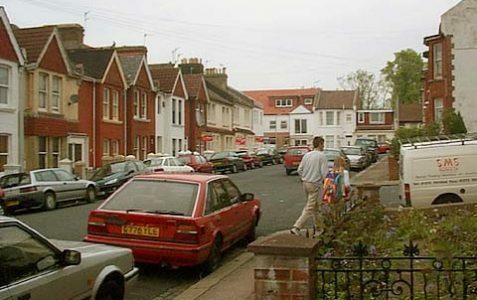 This wide road was developed on Stanford family land. 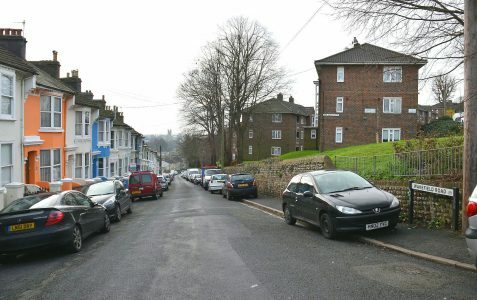 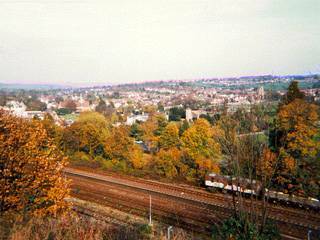 Station Road runs from Preston Park Station to the bridge over the railway beside Withdean Road. 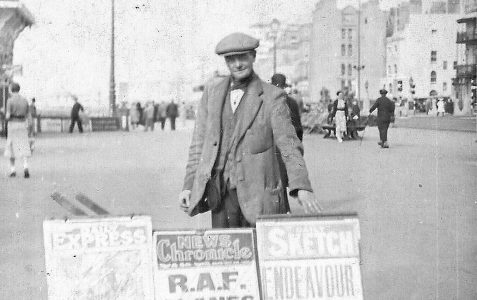 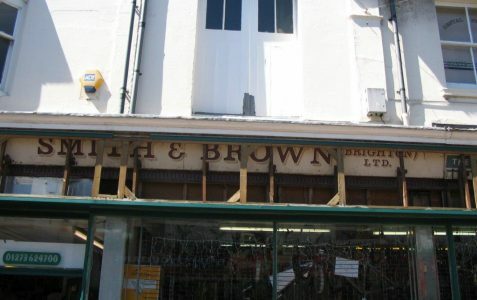 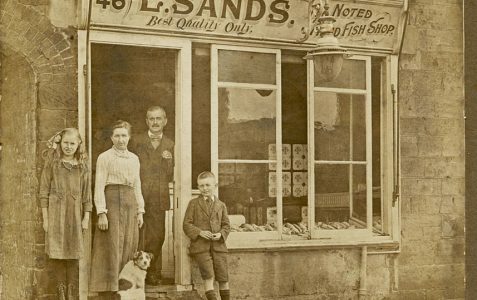 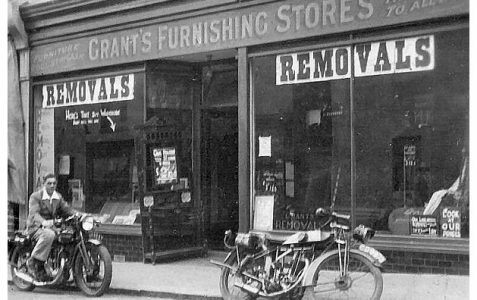 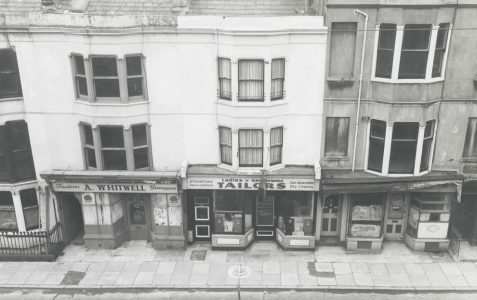 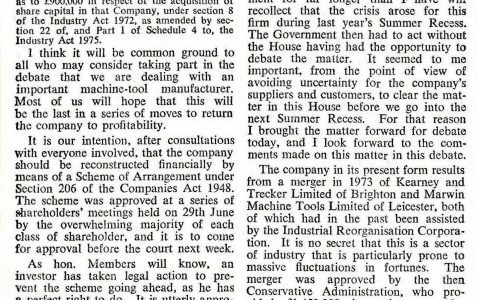 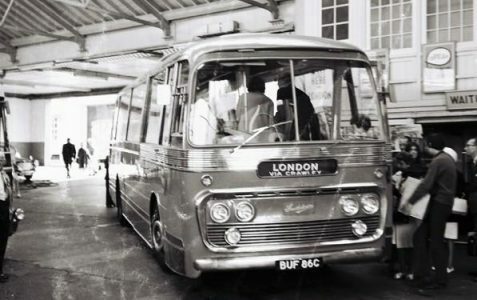 The Southdown Motor Services Ltd, formed in June 1916, operated buses from their premises in Steine Street. 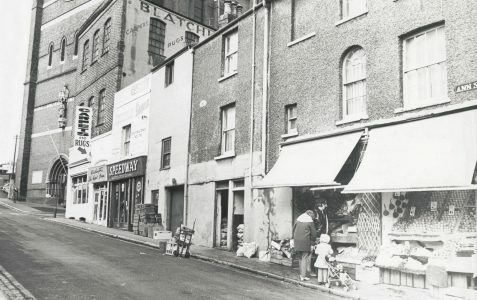 Sydney Street is a busy shopping street which was developed around 1850. 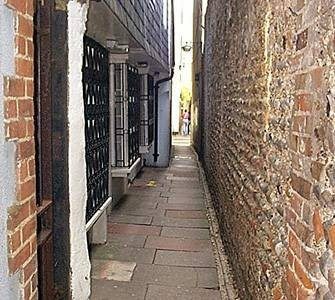 The Lanes is a collection of narrow streets and twittens which form the heart of the Old Town. 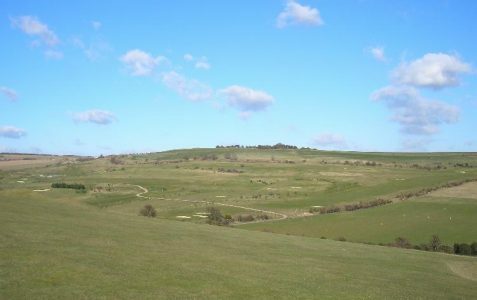 The Ridgeway was a rough track in the 1920s but was developed in 1953 and greatly extended in 1986. 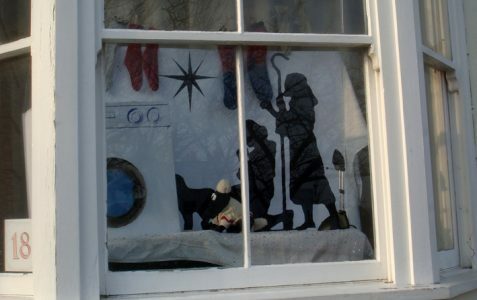 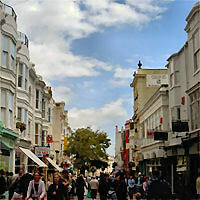 Tidy Street is a resential street in Brighton’s North Laine area. 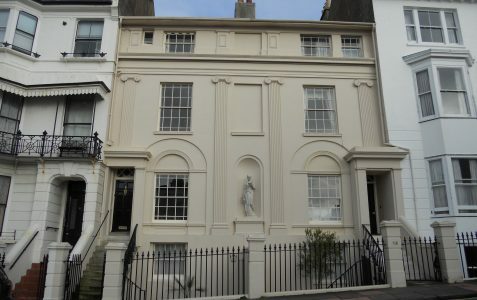 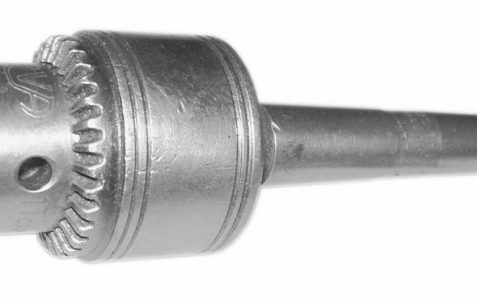 It dates from around 1840. 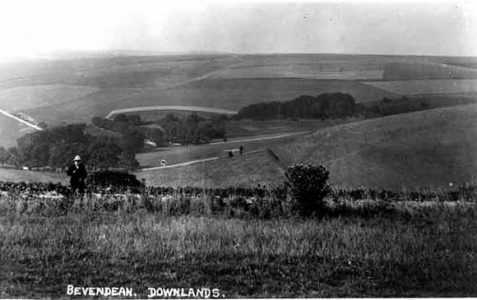 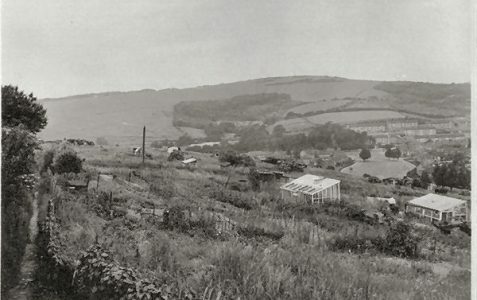 Tongdean Lane was the road to Tongdean Farm until it was diverted by the railway in 1840. 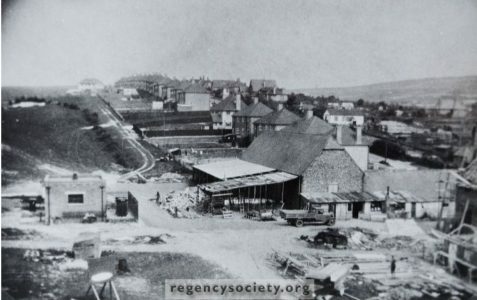 The Albion Hill Mill stood on Toronto Terrace from c1822 until 1861. 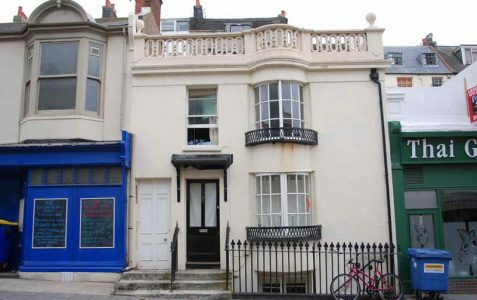 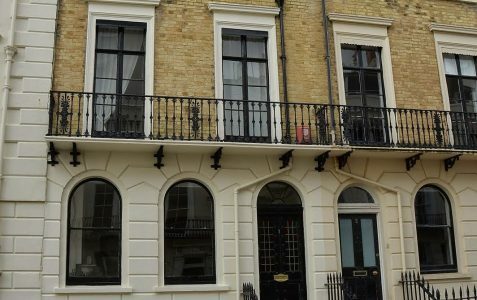 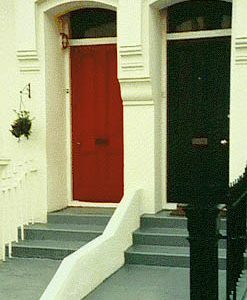 In Upper North Street there is an attractive listed terrace of about the 1830s, with fluted Ionic pilasters. 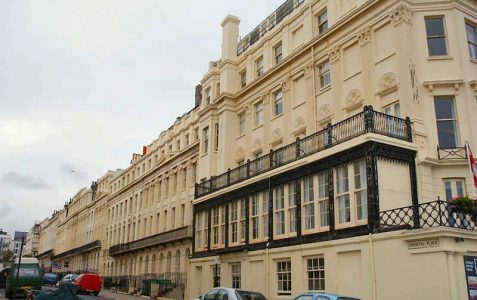 An impressive terrace of thirty-seven houses built in about 1850 in five distinct compositions, but all with ironwork balconies. 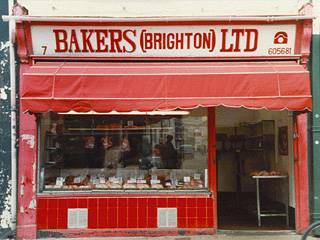 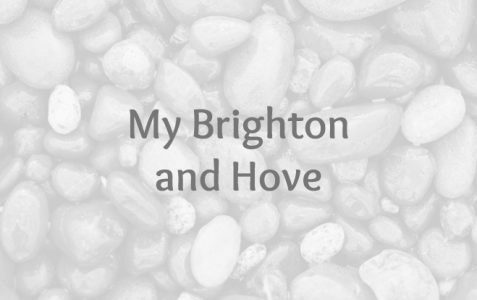 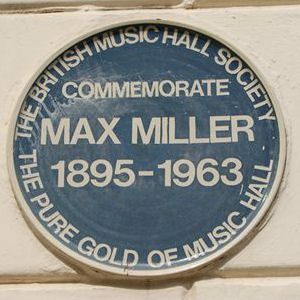 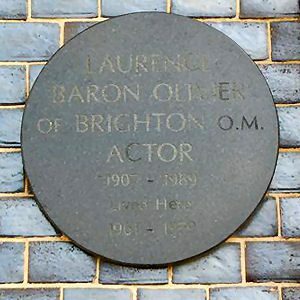 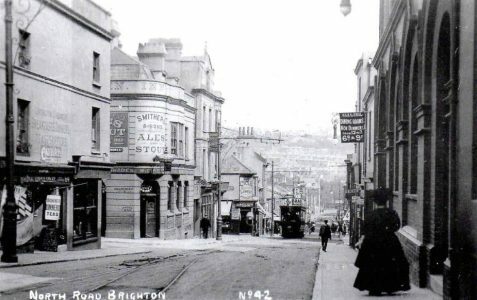 Formed the northern limit of the ancient parish of Brighton until 1873. 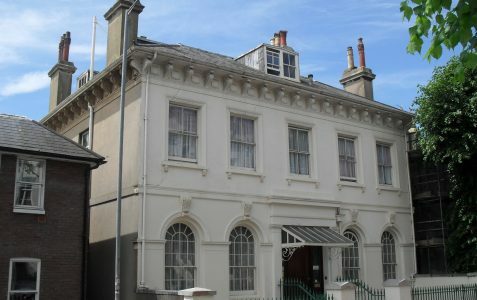 Some of the houses are listed buildings dating to c1820. 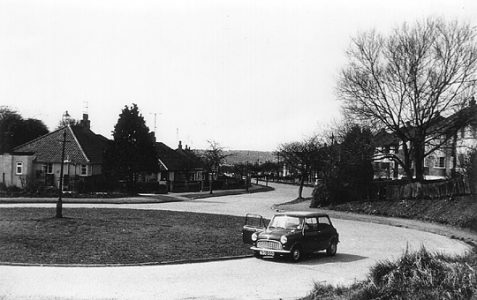 Wickhurst Rise is in the Mile Oak area. 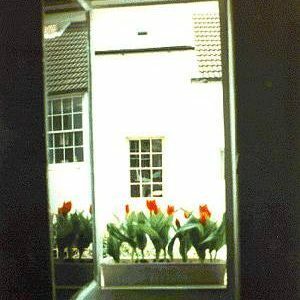 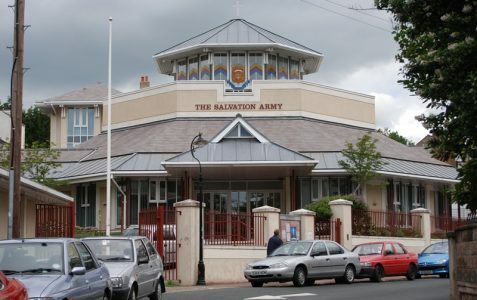 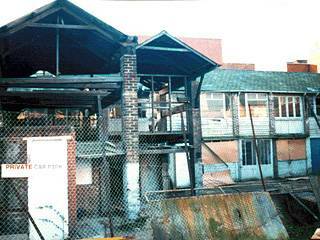 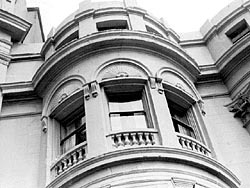 In 1985 an extension to the High Court and the County Court was opened in William Street. 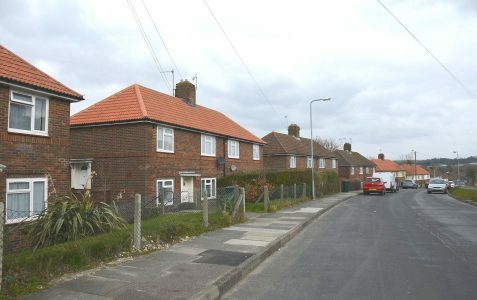 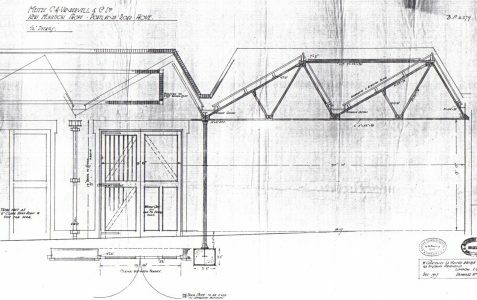 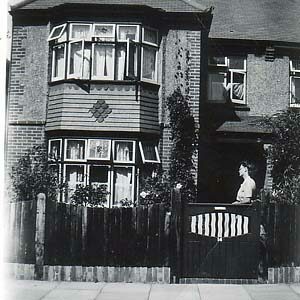 In the 1950s Wilson Avenue contained prefabricated low cost houses. 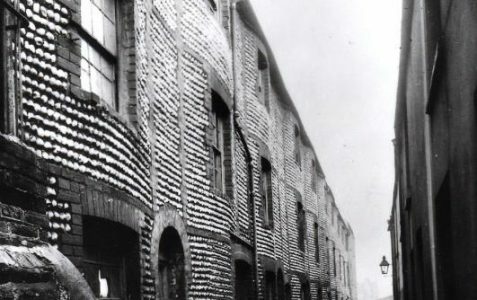 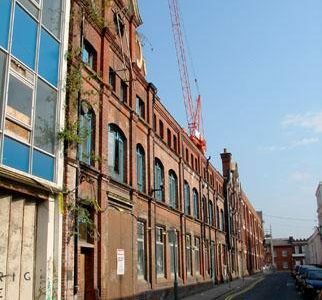 Windmill Street is probably named after Taylor’s Mill, the former East Mill in the 1840s. 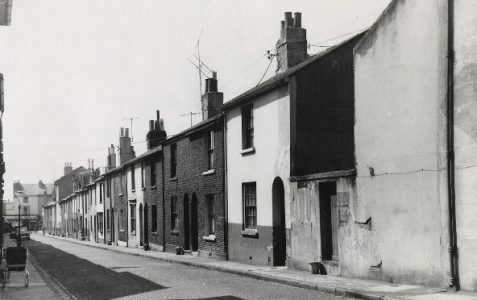 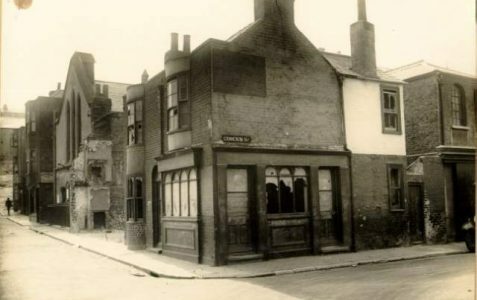 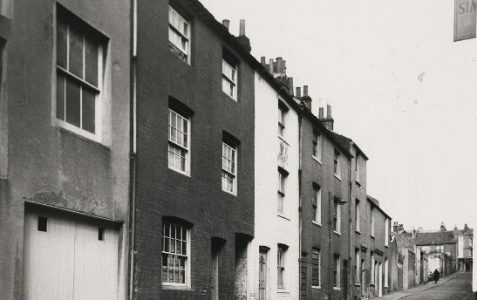 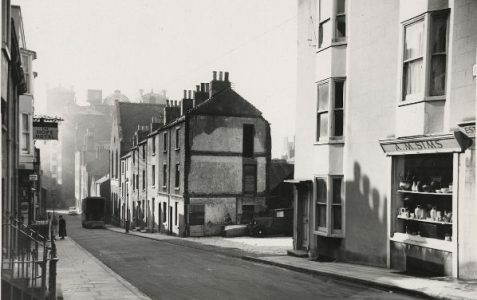 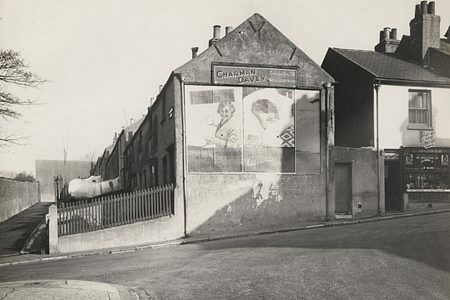 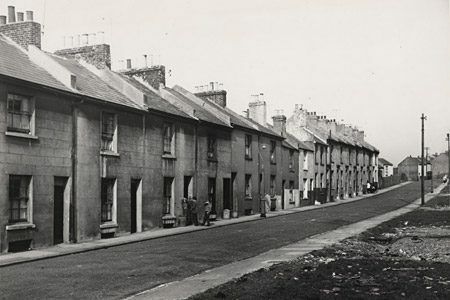 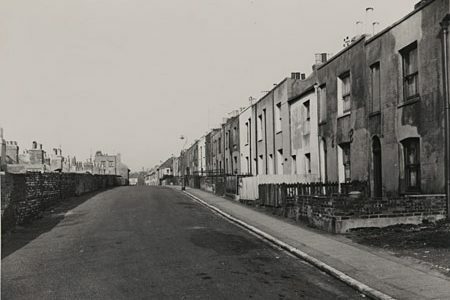 Wood Street, which ran parallel to Blackman Street and Whitecross Street was demolished in 1962. 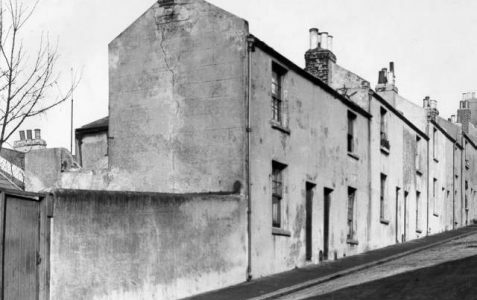 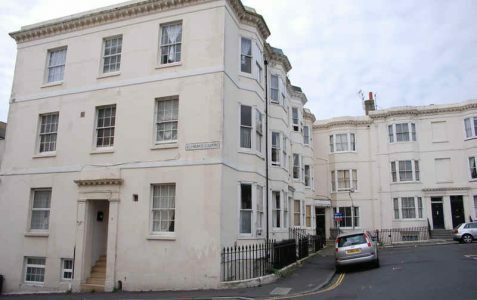 Wykeham Terrace off Dyke Road is an attractive listed terrace completed between 1827 and 1830.